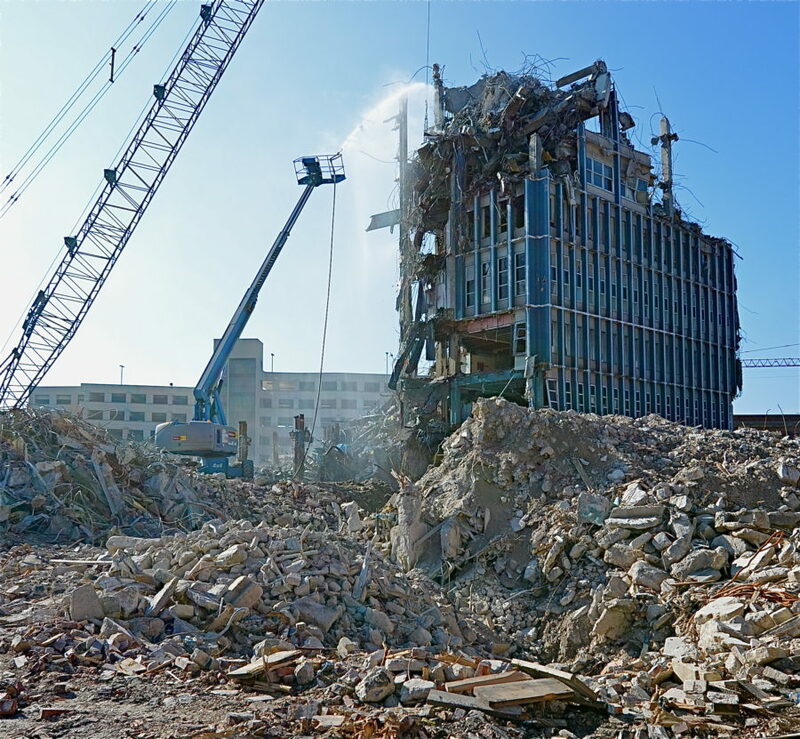 Every year brings new buildings and the demolition of others–it’s the continuous cycle that transforms inanimate structures into the growing and evolving organism of a city. In times of wealth and prosperity the number of construction and demolition permits grow, and in times of recession they dwindle. Last year this cycle repeated largely as it has in years past. 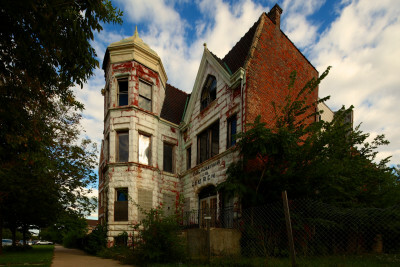 But there were a few themes in the destruction of Chicago’s architectural heritage: late 19th century Worker’s Cottages, grand South Side homes, Italianate row houses, and a few sparkling Victorians on the North Side. 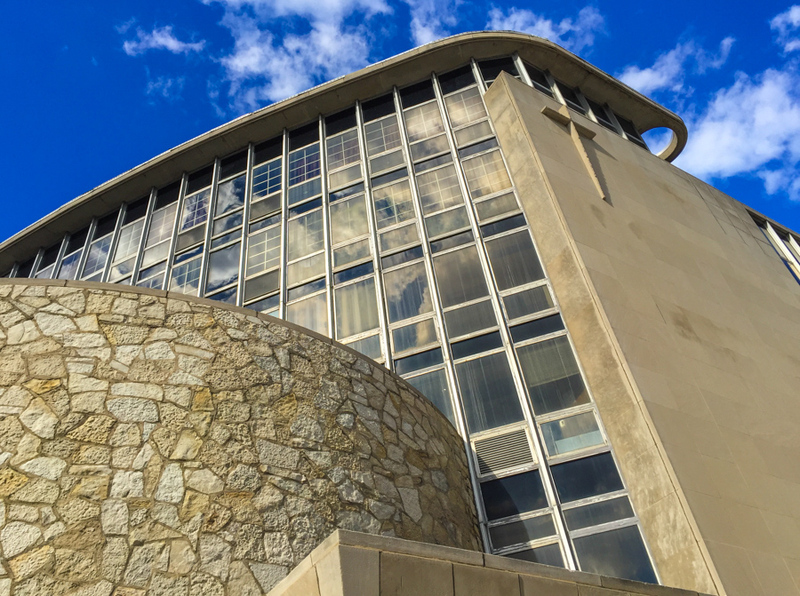 It wasn’t all losses in 2016–there were a few wins, particularly neglected or damaged churches that will live on through adaptive reuse. The entirety of architecture lost in 2016 is sadly too much to detail here. Instead, we’ll look at the patterns of what we lost – and a few wins, too. The Worker’s Cottage is one of the earliest forms of industrialized housing, utilizing factory-produced construction components and marketed toward the working class. These modest homes typically consist of one and a half floors, with a front facing gable with window. 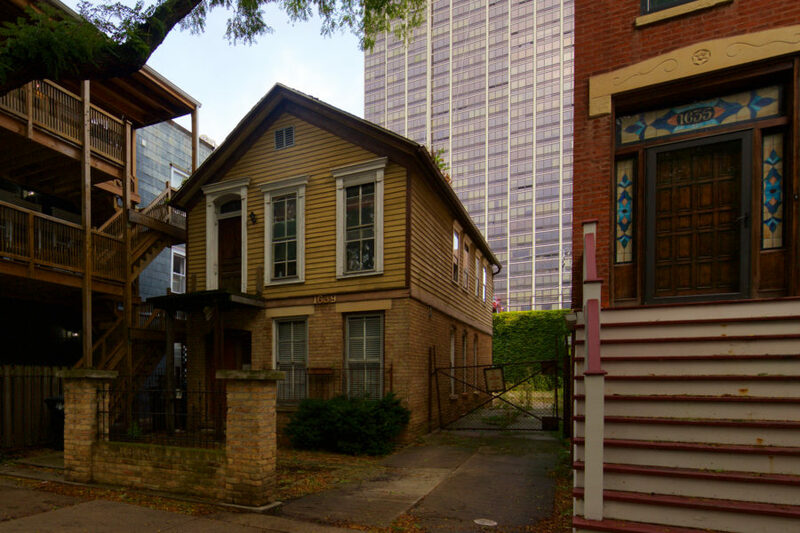 Many of Chicago’s extant stock of Worker’s Cottages are of close proximity to downtown with easy access to transit. 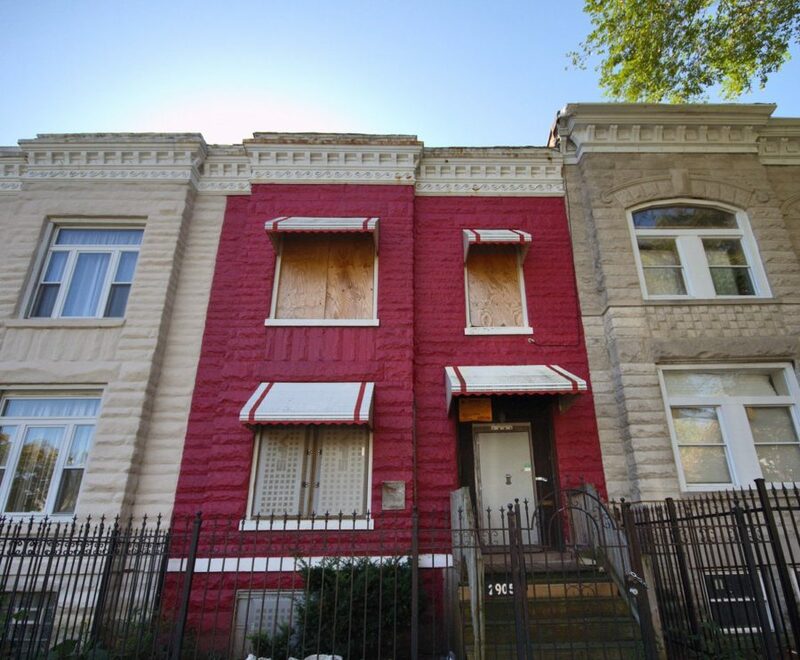 Speculators and new residents alike target them for teardowns, often replacing them with larger single family housing. Most Worker’s Cottages are a simplified version of the prevailing style of the era, Italianate, and are often identified by their large doorways and window hoods with incised geometric designs, curves, or flowers. They can be found in almost every neighborhood of the city, and associate editor Gabriel X. Michael has been documenting Chicago’s remaining original Worker’s Cottages since 2014 in his Flickr collection. 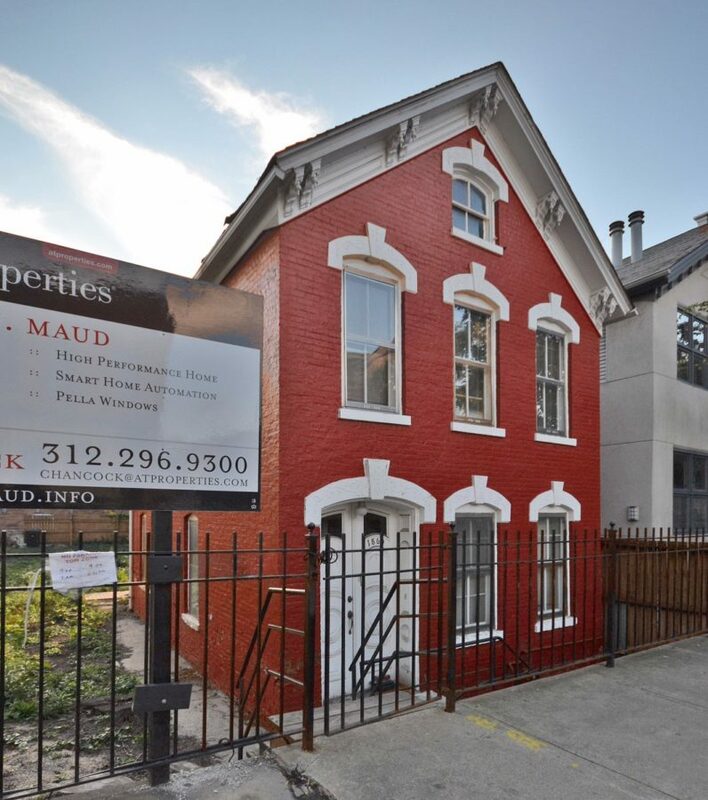 The 1600 block of Pierce Avenue in Wicker Park is a rapidly changing street featuring 1870s-80s housing stock and newer construction. The home above at 1631 was clad in stone veneer, covering the face brick. A demolition permit was issued in October. 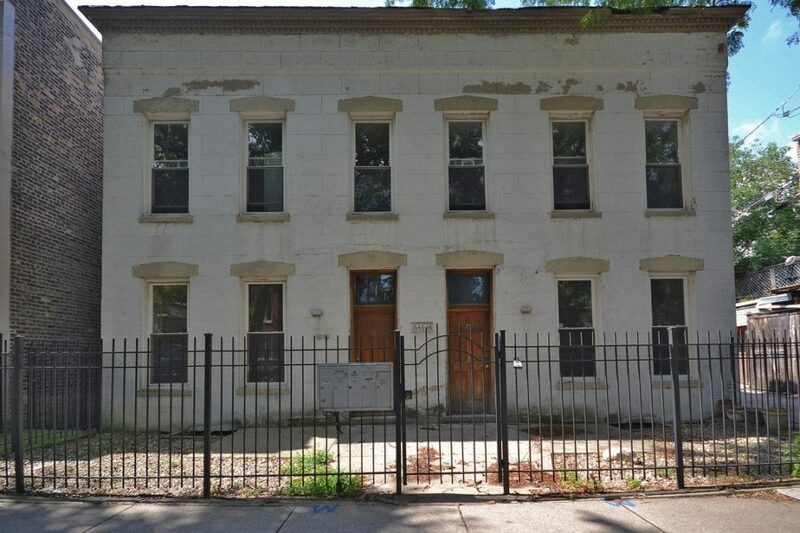 1112 N. Mozart sold for $260K in July, and the demolition permit was issued in November. This two family home at 2157 N. Claremont sold in August for $450K, and the demolition permit issued less than a month later. One of the last remaining post-Fire cottages in Gold Coast was razed in November. 1836 W. Wabansia was demolished in early February. The rapid loss of cottages wasn’t limited to the cottages built for the working class of the 1870s and 1880s. The larger homes of the era closely resembles the Worker’s Cottage, but taller with an added floor and higher end trim. Despite the often luxurious and well-kept condition of these homes, the value of the land they sit upon is higher for larger new construction. a bit of research indicates that this well-maintained 19th century cottage was constructed around 1885 as a two-story boarding house. droves of working class german immigrants called this place “home” for the next several decades. 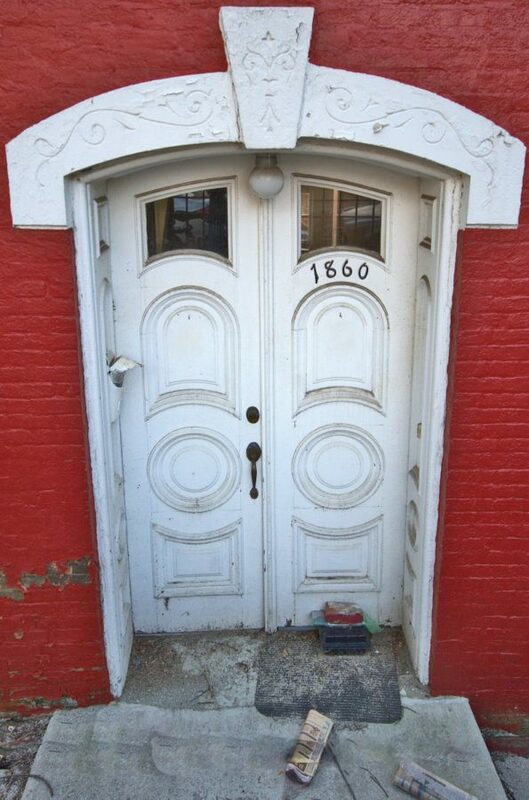 remarkably, the original arched recessed panel double doors with clear panes of glass and surrounding jamb have seen little alteration since the time the house was first completed. 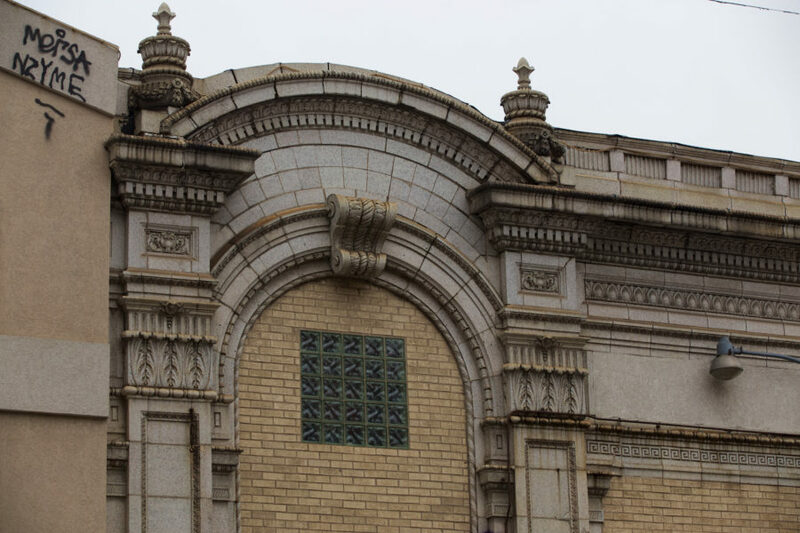 in addition, the carved sandstone keystones and fanciful angled fret-sawn wood brackets tucked under the protruding cornice are in great condition. the following images provide a visual record of the cottage’s facade taken just the other day. by week’s end, the house will be long gone, callously erased from the cityscape. So why the concentration of so much wealth there? It’s all because of a decades-old change in zoning laws. 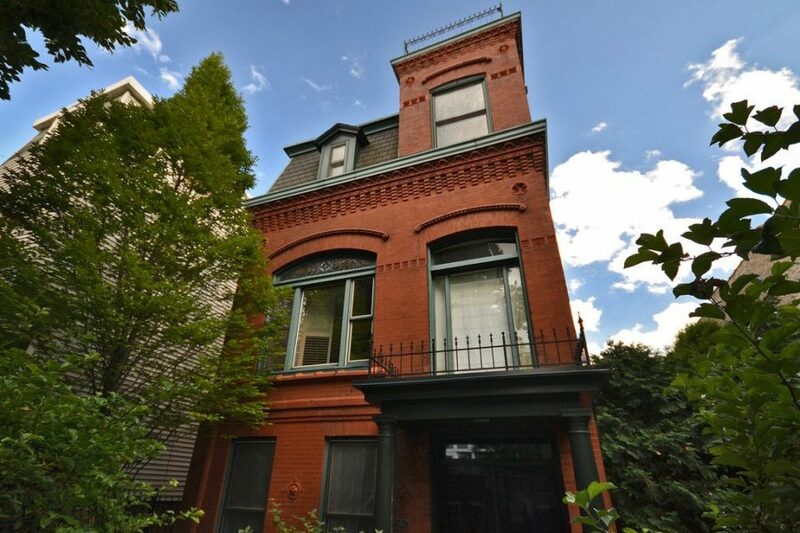 In this section of Lincoln Park, regulations allow houses to reach 47 feet high and have a floor-area ratio (the amount of floor surface allowed in relation to the size of the lot) of 1.7. 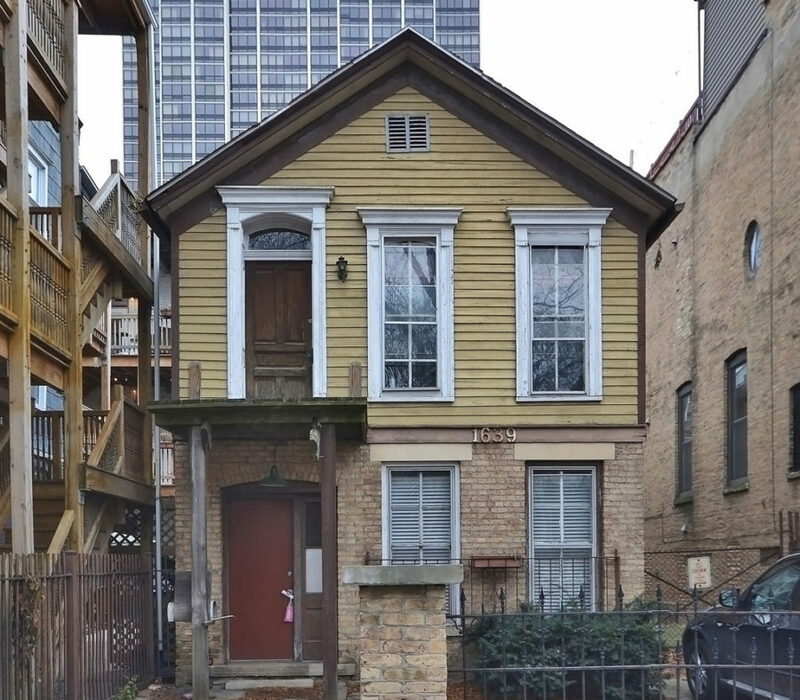 By contrast, west of Halsted, houses max out at 38 feet and a 1.2 floor-area ratio. In the 1950s, the City Council designated these eastern blocks as R5, later revised to RM4.5—a residential code that allows multiunit buildings and thus bigger structures. 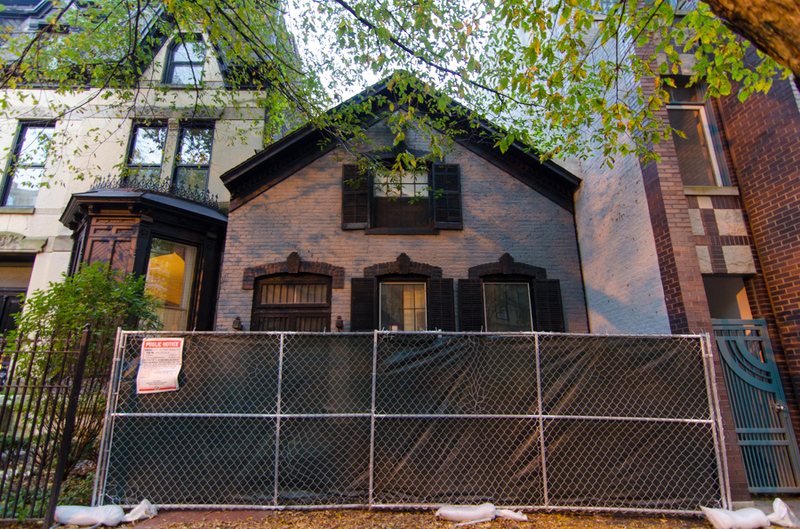 What’s more, the area is just outside of the historic districts in the Gold Coast and Old Town Triangle—meaning it’s much easier to demolish existing buildings and erect megamansions. 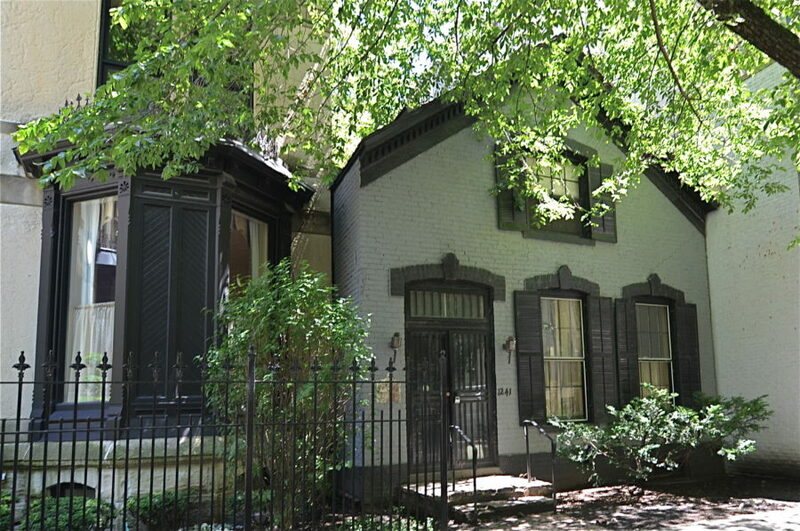 321 West Evergreen Avenue was a raised Worker’s Cottage in Old Town. 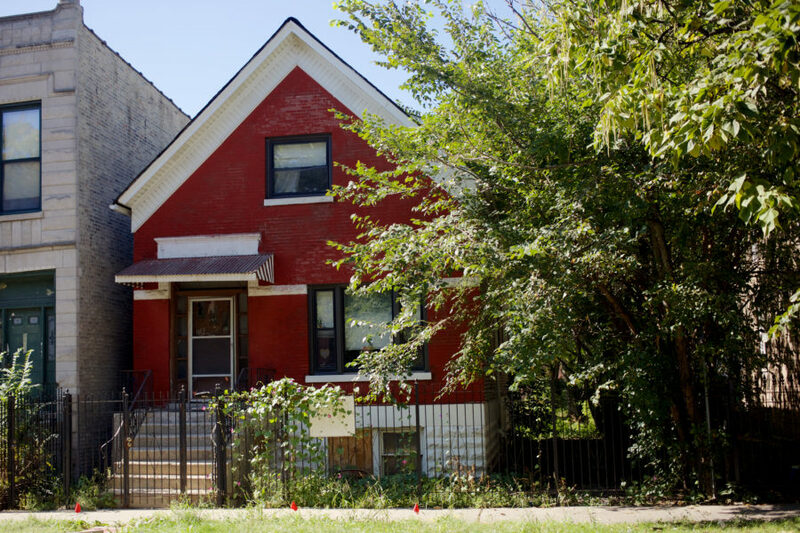 It was demolished along with its neighbor at 317 W. Evergreen in late August. 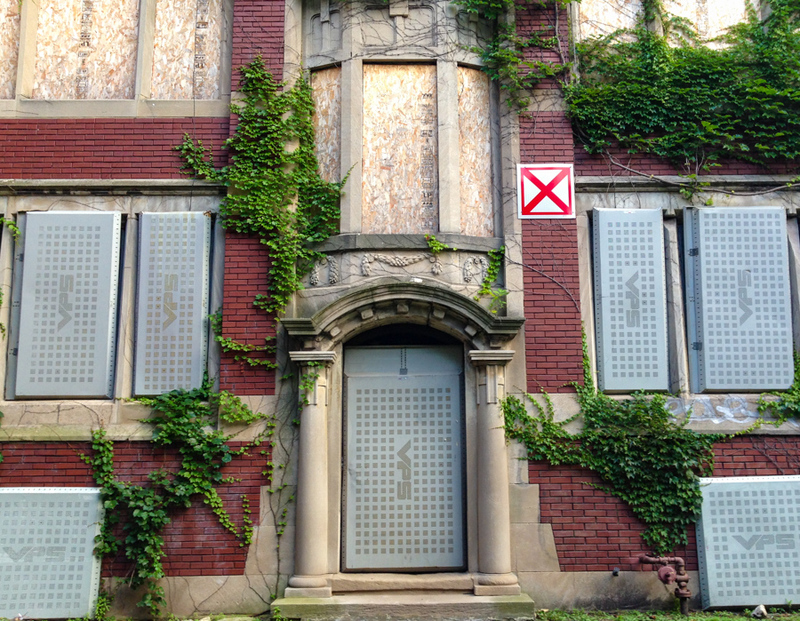 The interesting history and regretful loss and demolition of these buildings was also profiled by Eric Nordstrom of Urban Remains. 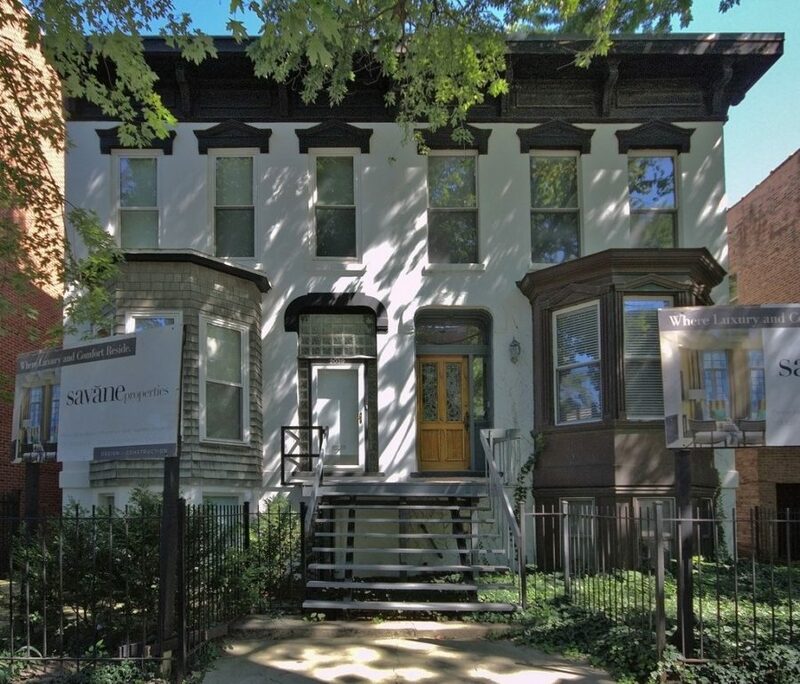 The long vacant Victorian beauty at 4841 S. Champlain had a glimmer of hope when listed as a rehab or teardown. Unfortunately, its fate was sealed with a demolition permit in June. One of five remaining houses in Norfolk Southern expansion north of 59th St in Englewood, also now demolished. 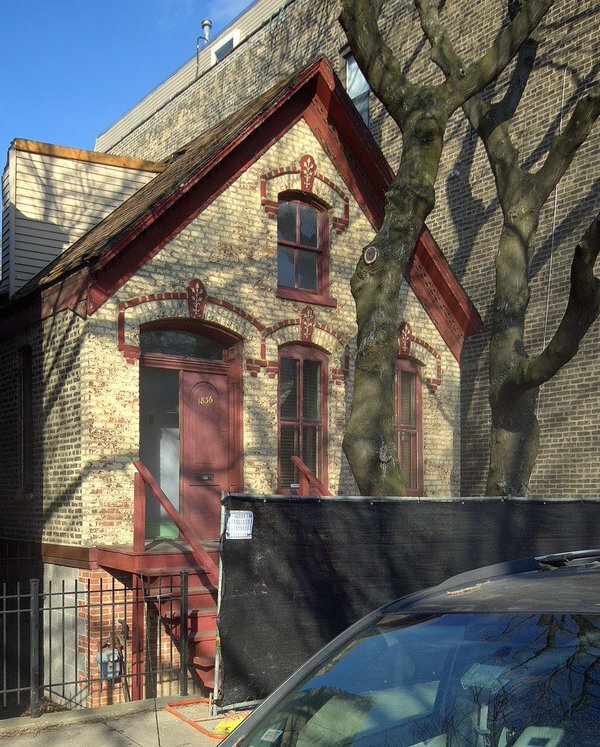 This charming small apartment building on South Hyde Park Boulevard, constructed 1913, is one of the latest casualties of Hyde Park’s ongoing development boom. Neighborhood mega-landlord Mac Properties, owner of the adjacent and historic East Park Tower, tore this building down in the final days of 2016. 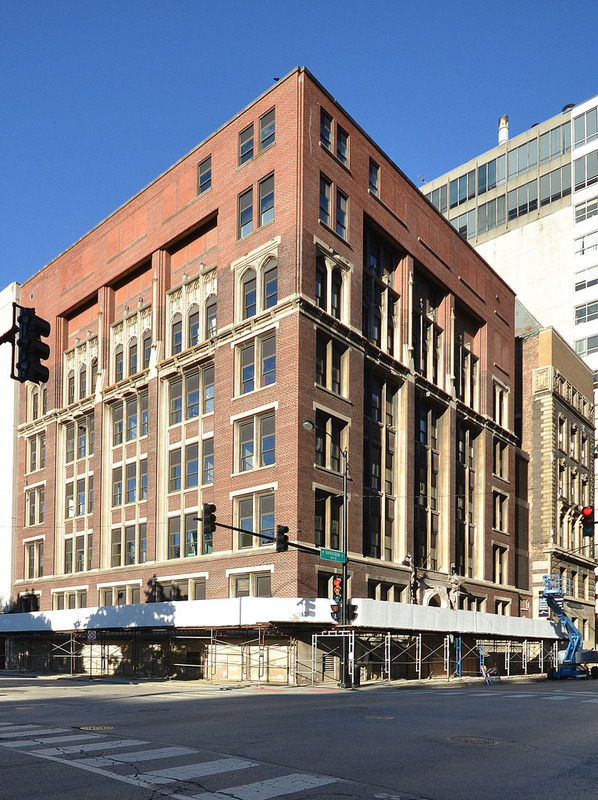 Inexplicably, while the building was rated “Orange” in the Chicago Historic Resources Survey, it was released from the Demolition Delay list after merely five days. 1117-1119 West Wrightwood is an Orange-rated residential building with an exquisite red brick and terra cotta facade, and rare Second Empire-style mansard roofline and off-center tower. 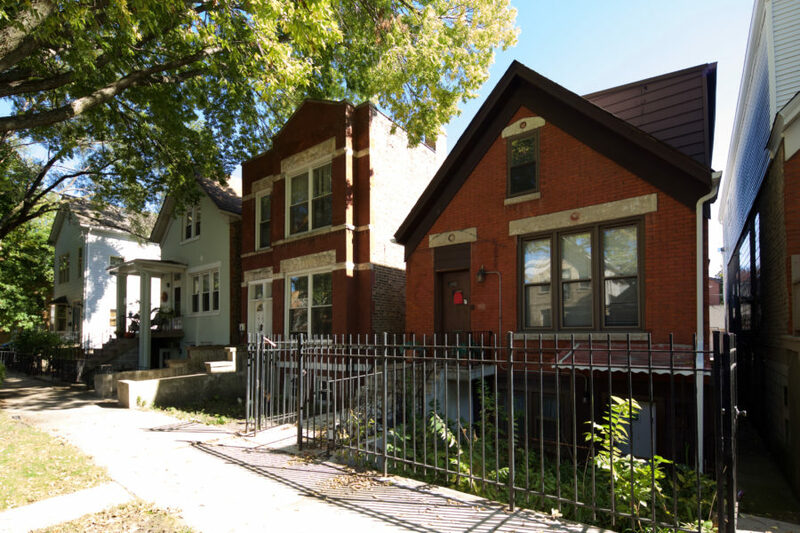 It’s situated near the border of Lincoln Park and Lakeview, and was added to the Demolition Delay List on June 24th after a demolition permit application was received. 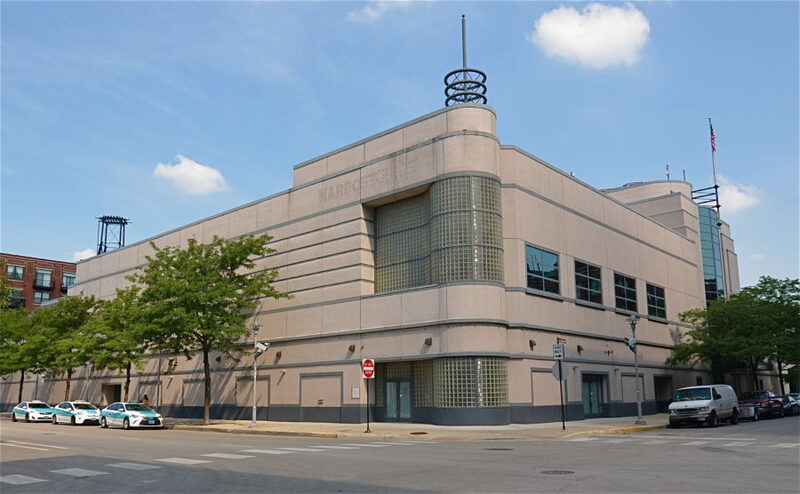 The building appeared to be for sale, and even marketed with renderings of a potential rehabilitation, but sat on the Demolition Delay List all summer and was released for demolition exactly 90 days later, on September 23rd. 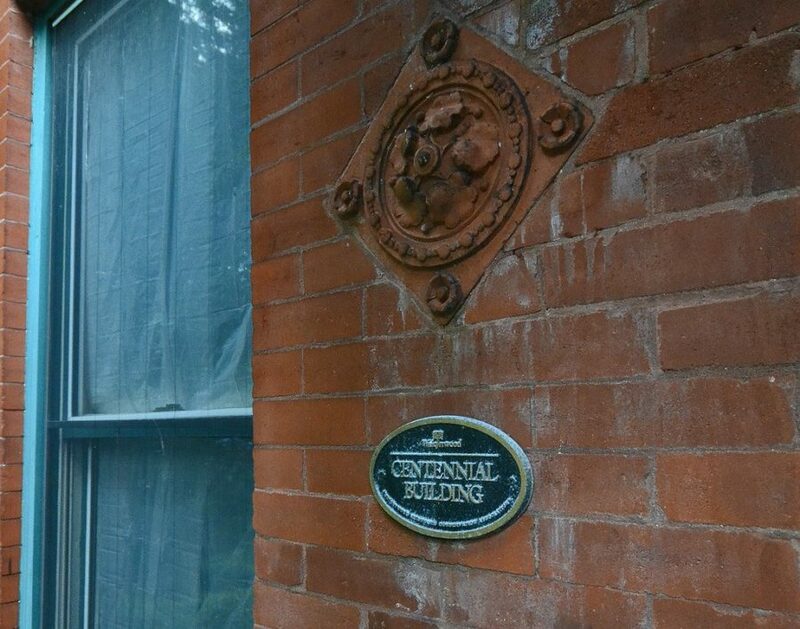 Sadly, looking at the front of the house you will see a “Centennial Building” plaque commemorating its life and history. A demolition permit was issued on December 30th, so barring any sudden intervention, it will be razed any day now. 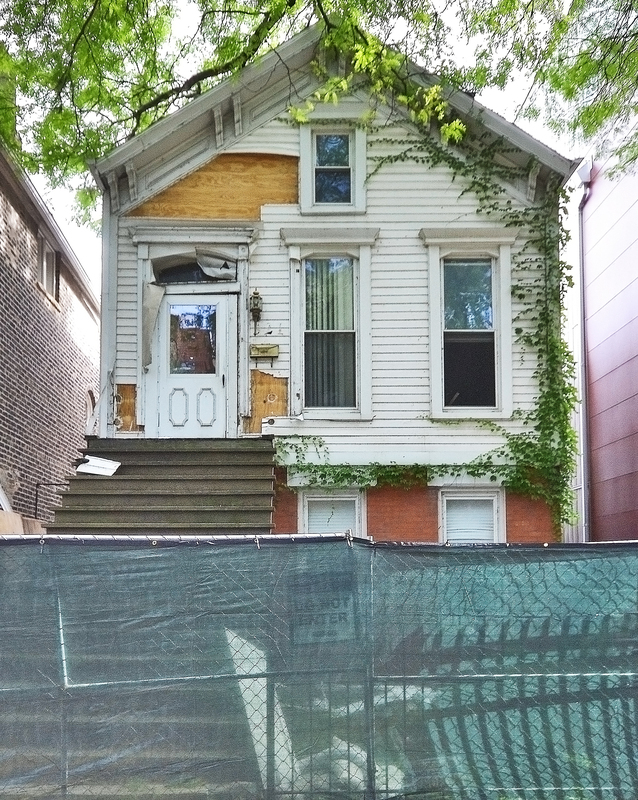 The building’s owners listed on the demolition permit are addressed at 1121 West Wrightwood, one house next door to the west, leaving one to wonder what exactly their plans are for the building and the site. 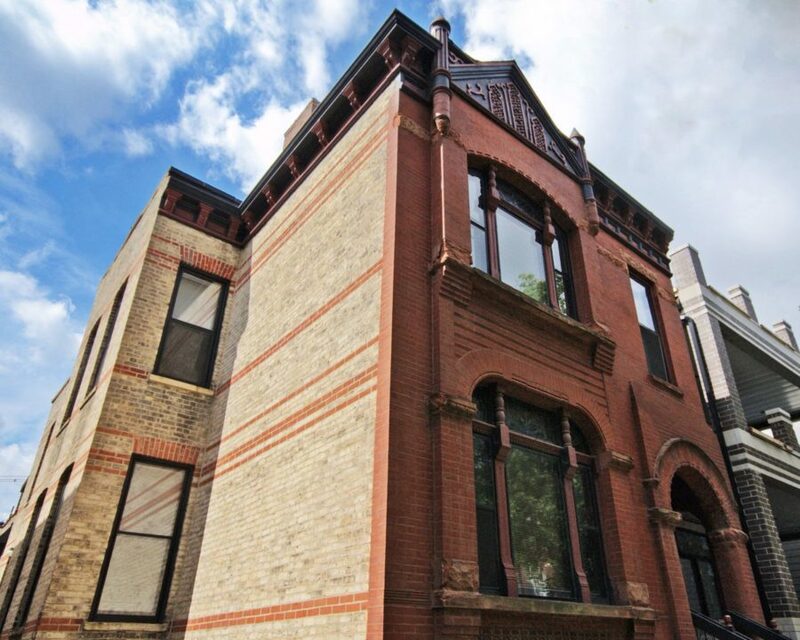 2738 North Racine Avenue is another beautiful, red brick Queen Anne-style residential building built in the 1880s, only 3 blocks from 1117 West Wrightwood Avenue. 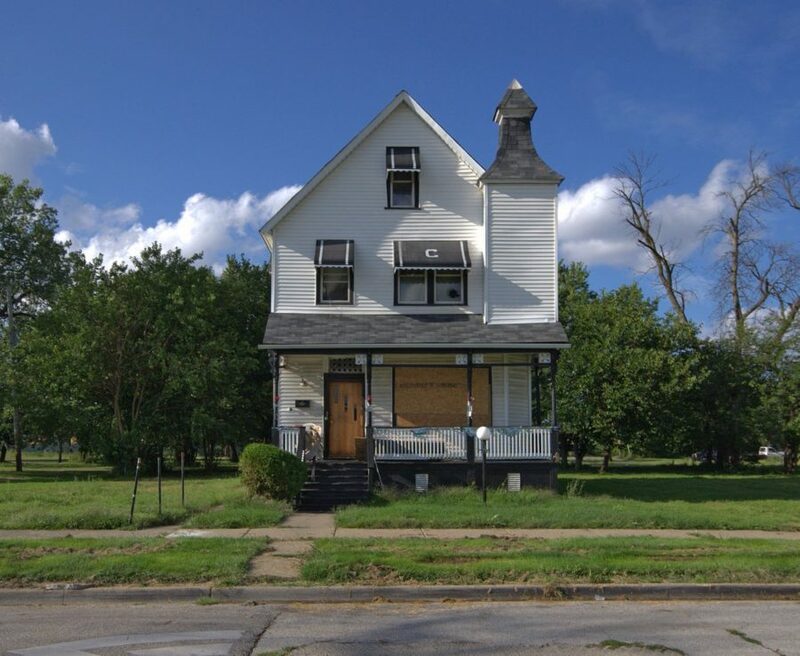 And just like the Wrightwood Avenue home, it was Orange-rated and landed on the Demolition Delay List on April 14th, and released on July 15th. The facade had wonderful rusticated and projecting brick elements, arches, original art glass windows and unique brick banding on the common walls. 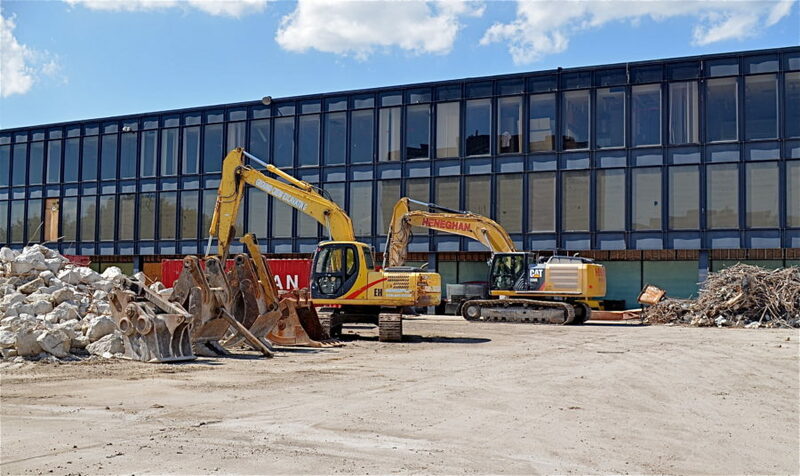 A demolition permit was issued on September 27th, and upon a recent visit, the construction of a contemporary condo building was observed to be well underway at the site. 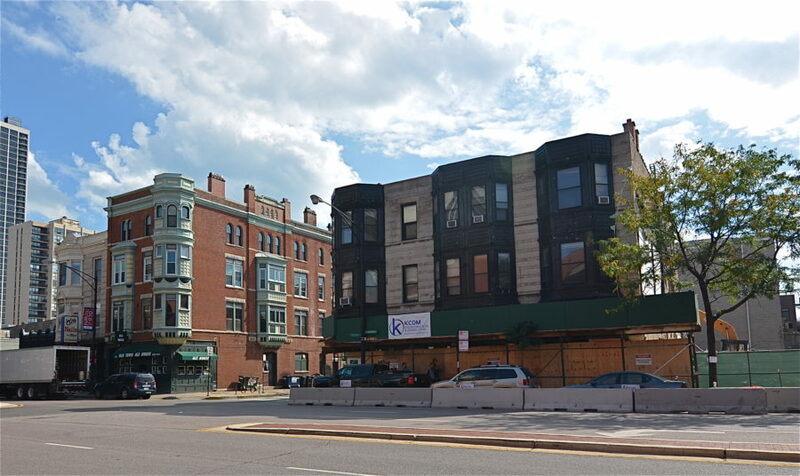 Another pattern seen in 2016 was the demolition of multi-unit, attached rowhouse-type buildings, a key 19th-Century building type found in a high-density neighborhood. 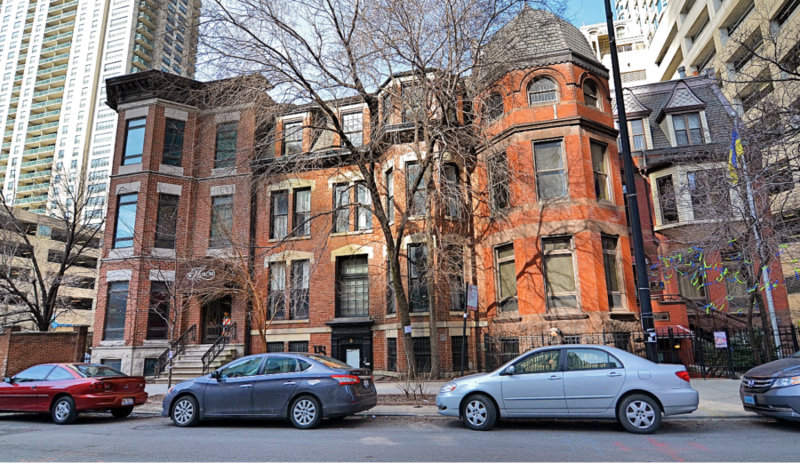 In some neighborhoods like Lincoln Park and Bucktown, these buildings now regarded as “old” and “cramped” were apparently demolished to make room for modern “luxury” construction on the site. 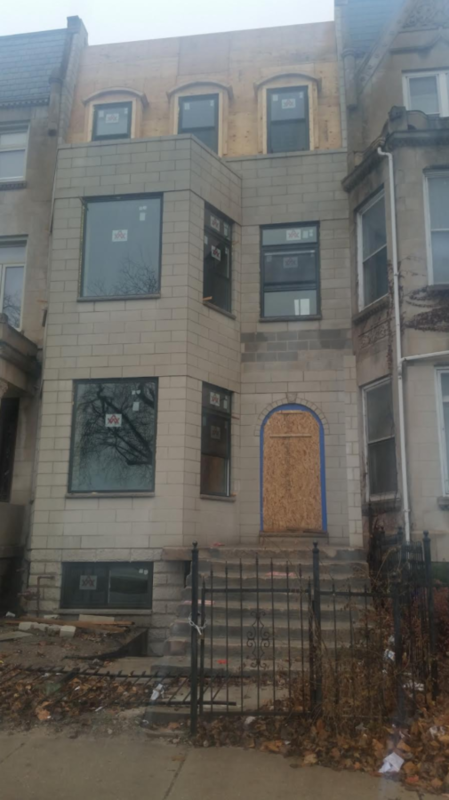 A red sandstone row house in Bronzeville had initially appeared to undergo renovations, but over the summer the structure was nearly demolished, with its front facing stone removed. There was a fire at 3714 South King Drive if I’m not mistaken. 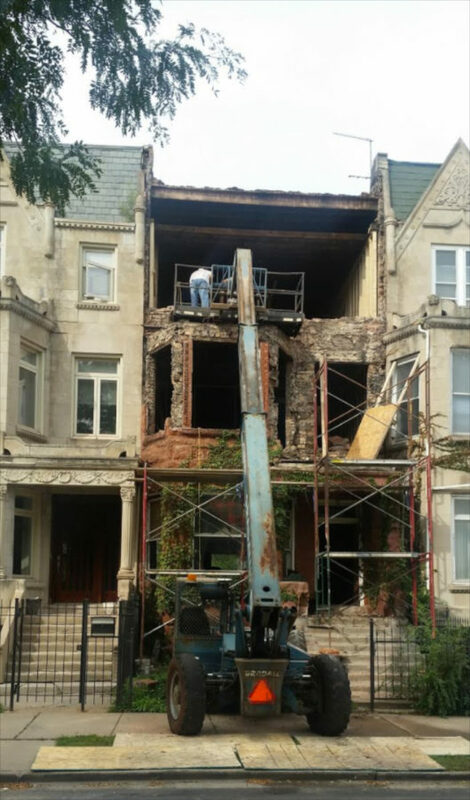 It was recently purchased, and permits were pulled to clean the masonry and rehab the interior of the 3 story townhouse. 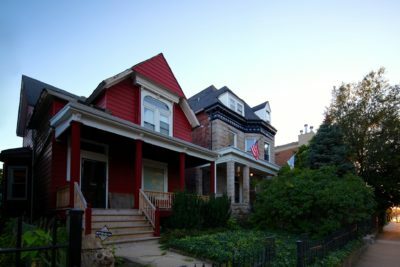 I was aware that the home was not included in the Chicago Historic Resources Survey, so the work performed wouldn’t fall under landmark review. When the exterior work began, I decided to see what method was being employed to clean the masonry. That’s when I discovered the contractor was removing the facade, not cleaning it. This exceeded the work that was approved. I contacted the alderman to hoping to get a stop work order. The building department and landmarks staff agreed with my assessment and a stop work order was approved and posted the following day. Sadly much of the facade had been removed by that point. 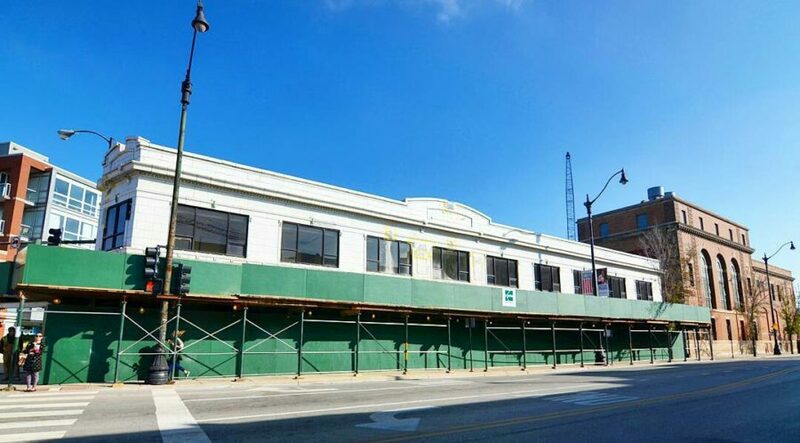 And what 3714 S. King looks like today. 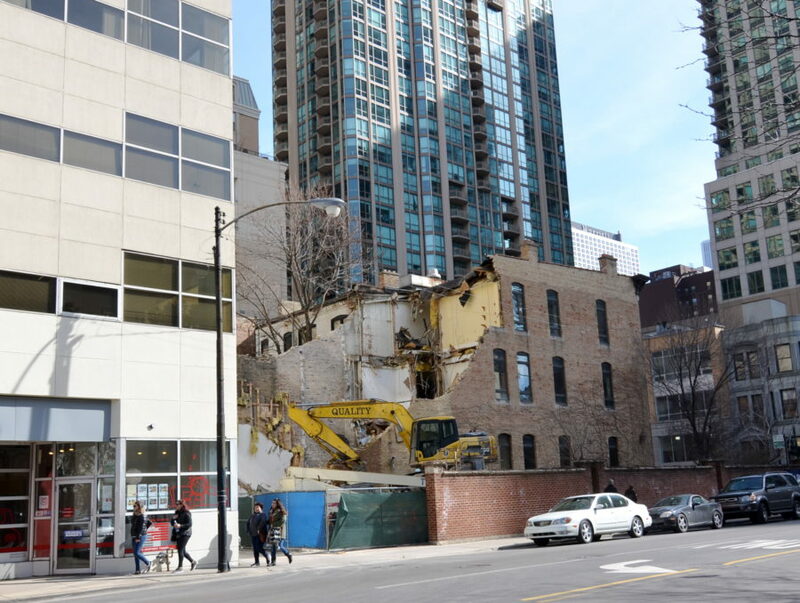 Although there are only a handful of 19th century buildings still standing in River North, the structures at State and Huron were demolished this past year for a 26-story, 290-foot residential tower. 10 E. Huron, the Consulate General of Ukraine, now stands alone. 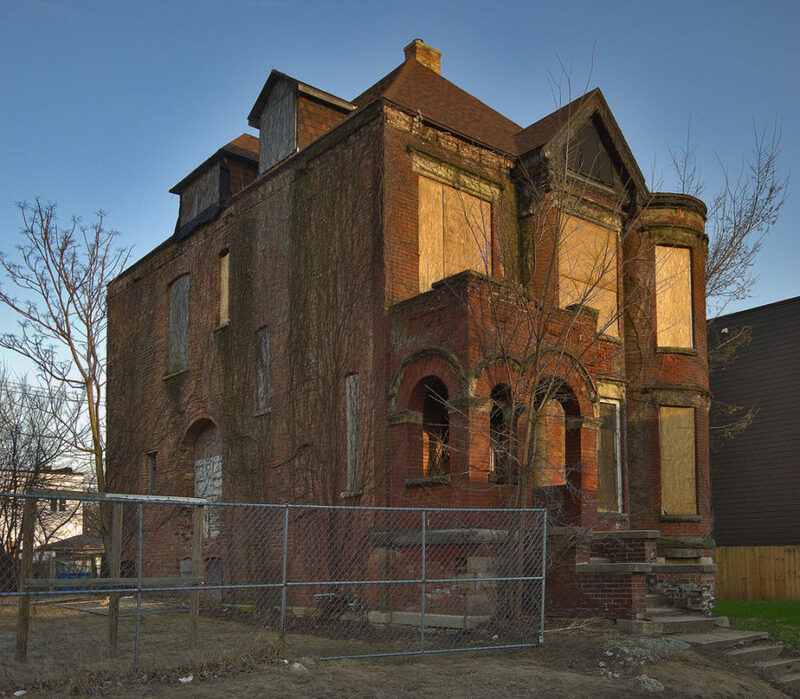 And the battle continues as a row of Italianate buildings along Superior are now threatened, with some preservationists calling for a new Landmark District to protect what little remains of old McCormickville. One of Chicago’s modernist masterpieces came down in 2016, the black Miesian building by Gene Summers, once the design assistant to Mies for the Neue National Gallery in Berlin. The college is a perfectly symmetrical composition that extends like a bridge. Not unlike McCormick Place it is long and lean and low, planned on a 24 by 24 foot module (doubling the 24 by 12 module of the IIT campus) with three levels above grade, an inset glass ground level, a concourse below and two third-floor courtyards. 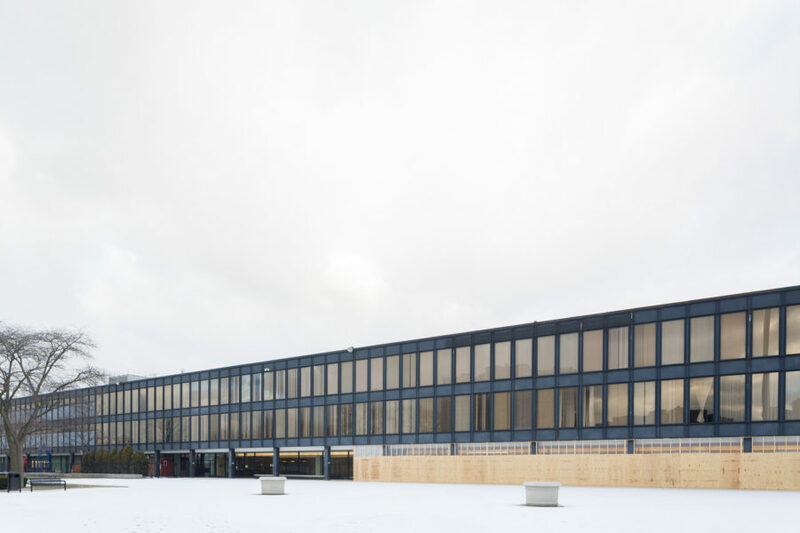 [Gene] Summers treated the corners much like IIT with a double redentation, and followed Miesian precedent with attached beams in a black color that has not faded in 45 years. The demolition of Malcolm X. 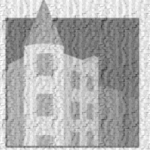 College was also covered by Lee Bey in his Architecture 360 podcast. 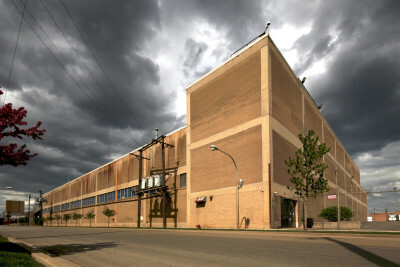 Harpo Studios, home of the Oprah Winfrey Show for 25 years, was once a cold storage warehouse and used as a morgue for the 749 victims of the Eastland Disaster in 1915. 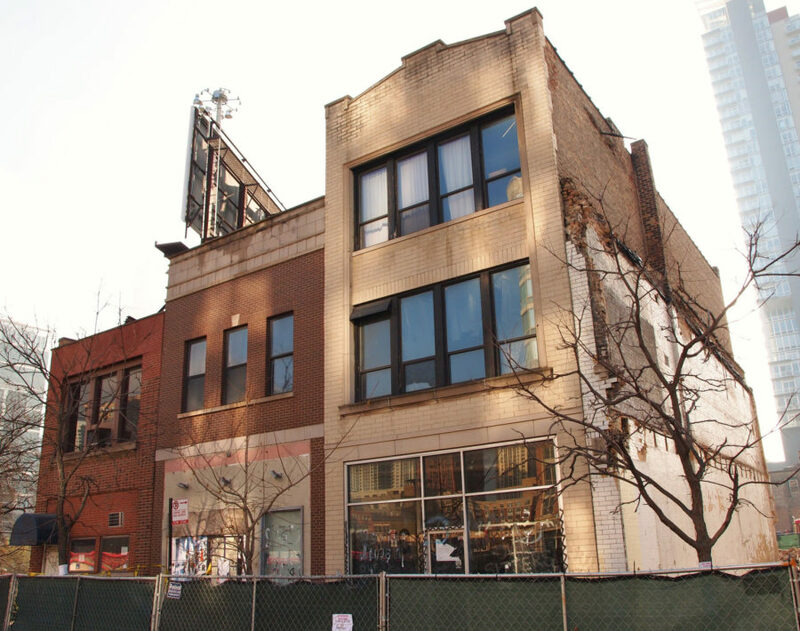 Although Oprah was a pioneer of the West Loop, her former studio fell victim to the dramatically changing character of the area when it was torn down for the new McDonald’s headquarters. 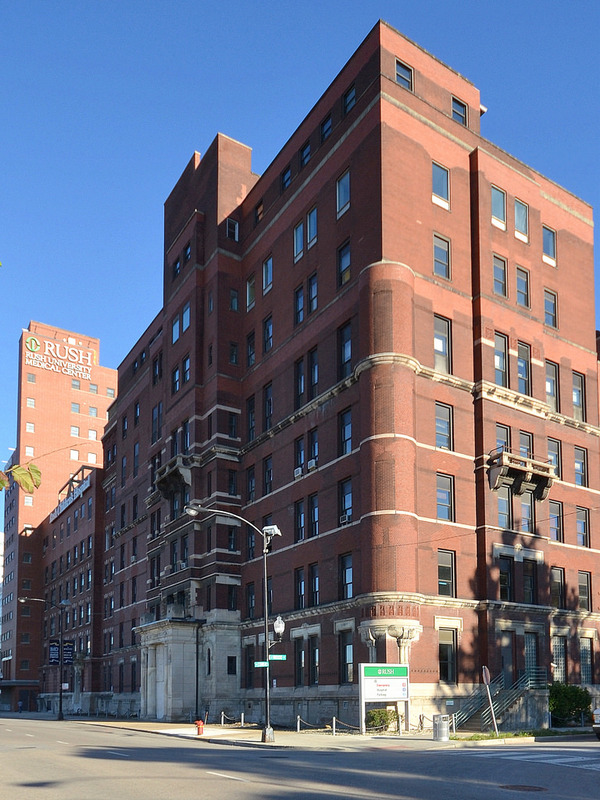 Located in Chicago’s Lincoln Park neighborhood for 130 years, the former six-acre site of Children’s Memorial Hospital was torn down, following the path of other old Chicago hospitals in recent years such as Prentice and the Michael Reese complex. McGaw Hall, known as the Cheese Grater Building, was designed by Holabird and Root in 1963 for the McCormick Theological Seminary. 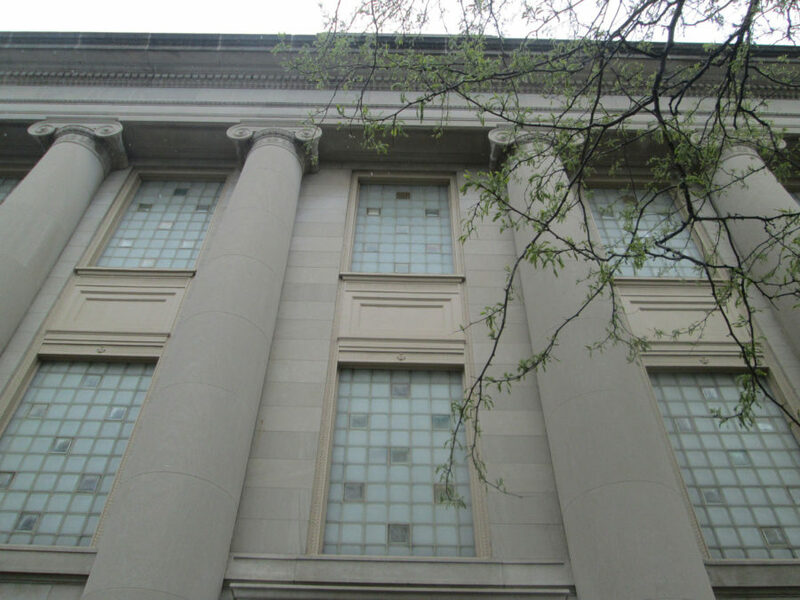 Acquired by DePaul University in 1977, the building was torn down for a new brick and glass building that will house DePaul’s music school. Another sad loss for unique midcentury modern architecture! 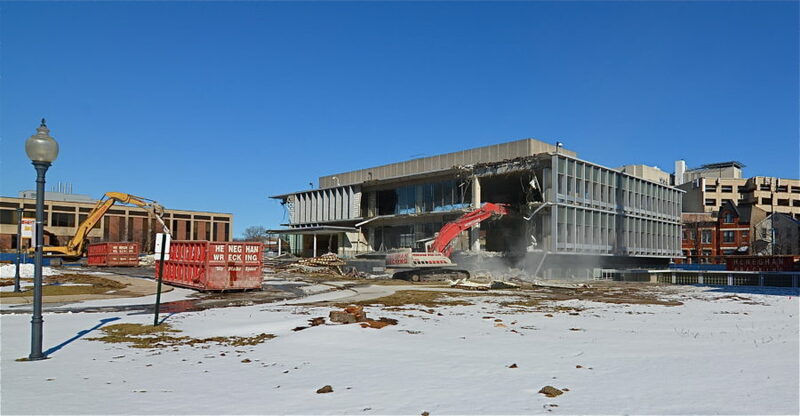 Read more in Rachel Freundt’s article, The End of McGaw Hall. Despite a long-running and dedicated advocacy campaign, and in the face of neighborhood opposition to TIF-subsidized luxury housing development, this whimsical building by idiosyncratic Modernist architect Edo Belli, completed in 1957, has also been demolished. More photos and information about the planned new development are available in this Curbed Chicago piece. Evangelical Bethlehem Church, 2750 North Magnolia Avenue, built 1884. Lost in March. Former St. Paul Evangelical Lutheran Church, 2733 West Hirsch Street. Lost in May. 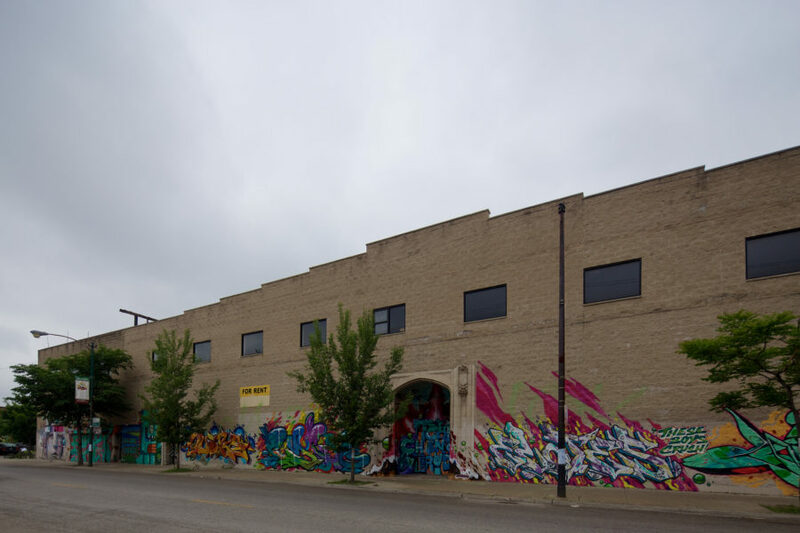 Chicago Reader wrote about the building’s situation as a space for DIY arts collective Young Camelot. 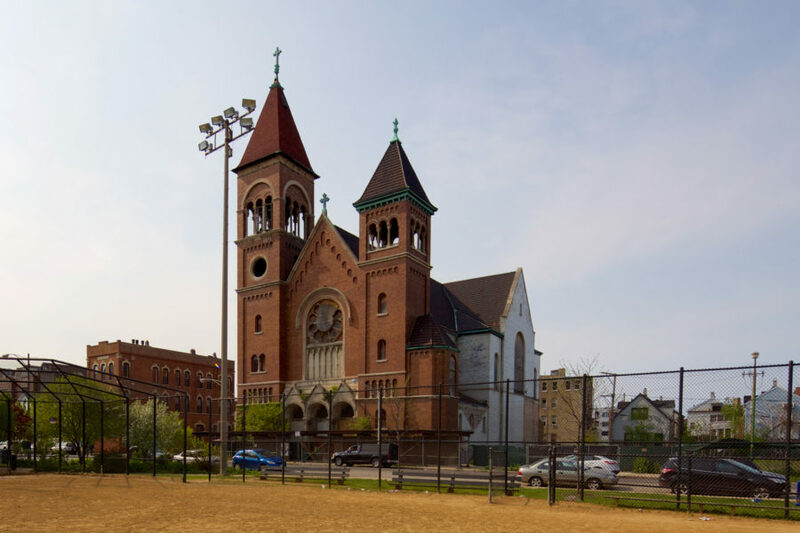 Originally built for Chicago’s Serbian community, the building is not listed in a city database of architecturally significant properties, though it is located just across the street from Wicker Park’s historic namesake park and carries historic significance in the Serbian community. “Our hope was that the structure was staying. Now it is gone,” he said by phone from Colorado while on vacation. Ventura, who lives in Popovich’s building, said the loss of the building was a loss for the community. the one-story church was actually an addition to an older two-story town house, which you can sort of see poking out from the top of the church building. It’s a little more obvious in Google Earth. 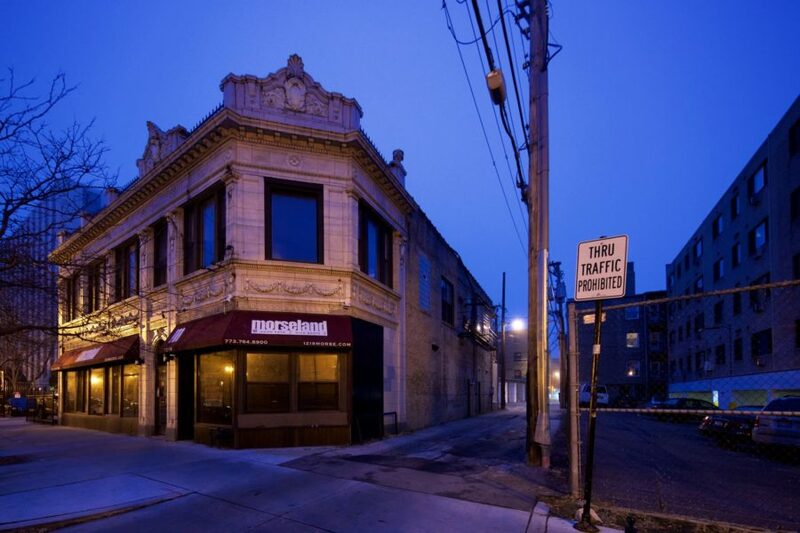 A petition signed by over 160 supporters emerged this week to “save” the Morseland building from demolition — though the property’s owner and the alderman said the effort is misguided. “I own the property … if someone else wanted to save the building, they should have bought the building,” owner David Gassman said. Gassman formerly owned SPIN nightclub in Boystown and owns residential properties in Rogers Park. 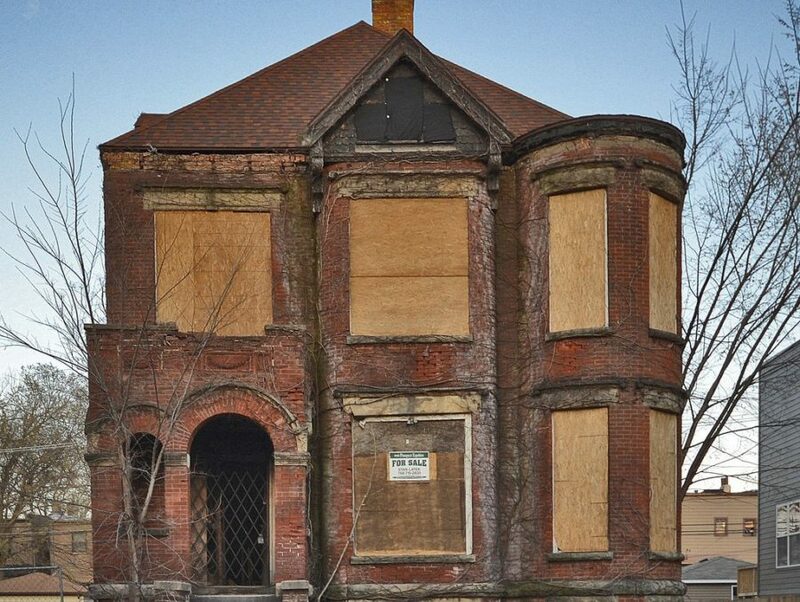 The petition, created by resident Brian Kaempen, urges community Moore, Gassman and others associated with the 1218-20 W. Morse Ave. building to keep it standing and restore it — mostly because of its decades-old original terra cotta. Taking the “old” right out of Old Town, this 19th century commercial building was torn down for a future six-story, mixed-used development. There are a number of parking lots and strip malls further down North Avenue, so this demolition hurts for preservationists, especially as it paired well with Old Town Ale House, located across Wieland Street in a similar vintage structure. 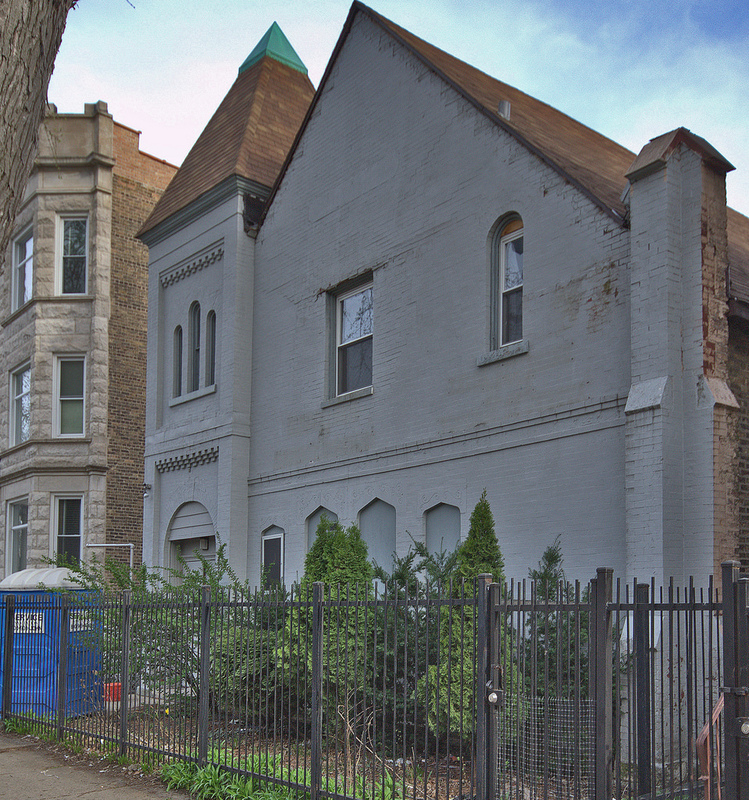 We revisit the Children’s Memorial Site to remember the white terra cotta Annex Building at 2375 N. Lincoln, designed by Frank O. DeMoney in 1914, which was supposed to be retained as part of the redevelopment plan until the developer reneged on his promise. 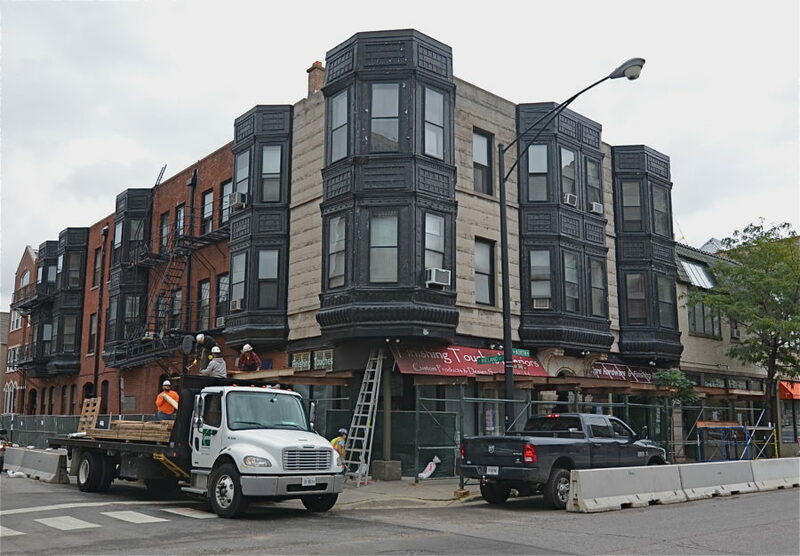 The two terra cotta buildings at Lincoln/Halsted/Fullerton served as a gateway to the historic architecture of the area, including the landmark Mid-North district and nearby Fullerton row houses. 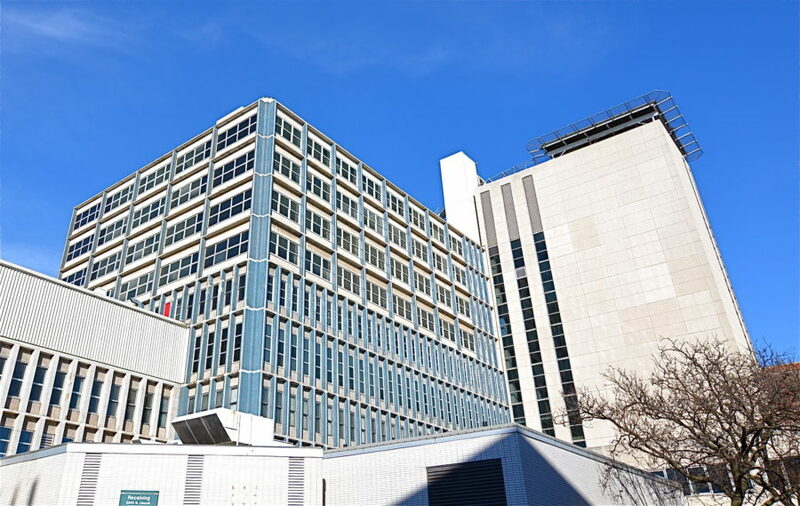 That is now gone with an uncertain future as the developer promises to now construct a similar building as a replacement, but if that’s the case then why tear it down? 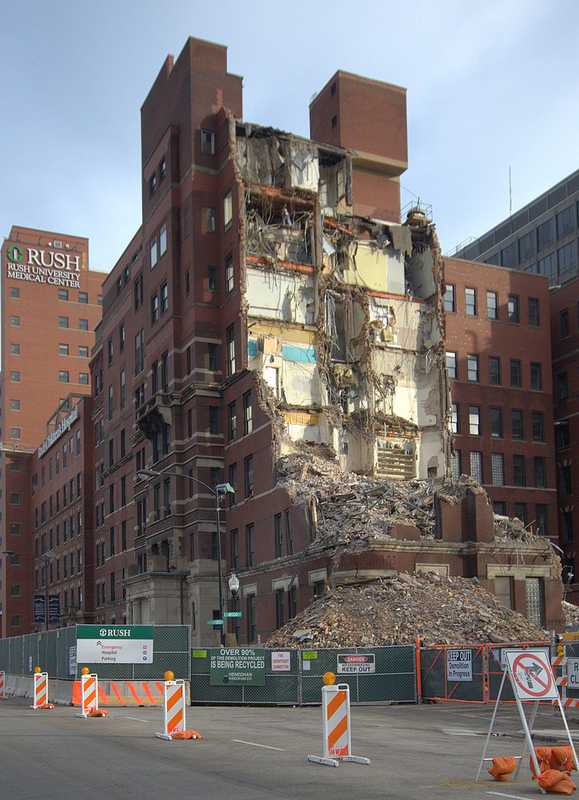 2016 started out with the demolition of a collection of four mid-rise buildings at Rush University Medical Center on the northeast corner of South Wood and West Harrison Streets. 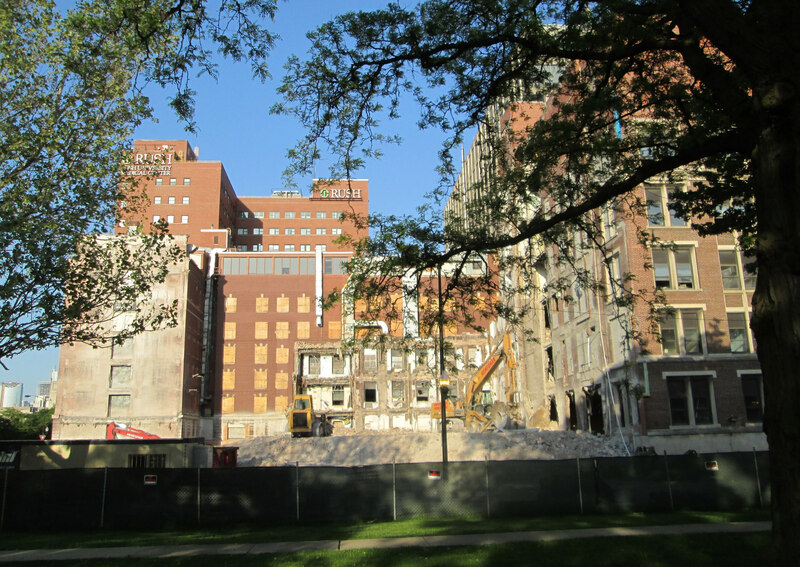 And they were literally demolished for nothing: their vacant footprint is planned as open green space in a drawn-out Rush University Medical Center renovation plan. Dating to 1888 as the Presbyterian Hospital, the 7-story red brick building known as the Jones Building, was first to be demolished. Facing the Eisenhower Expressway, this building was also the most elaborate and stylized of the four buildings, even with much of its original ornamental design removed or lost. 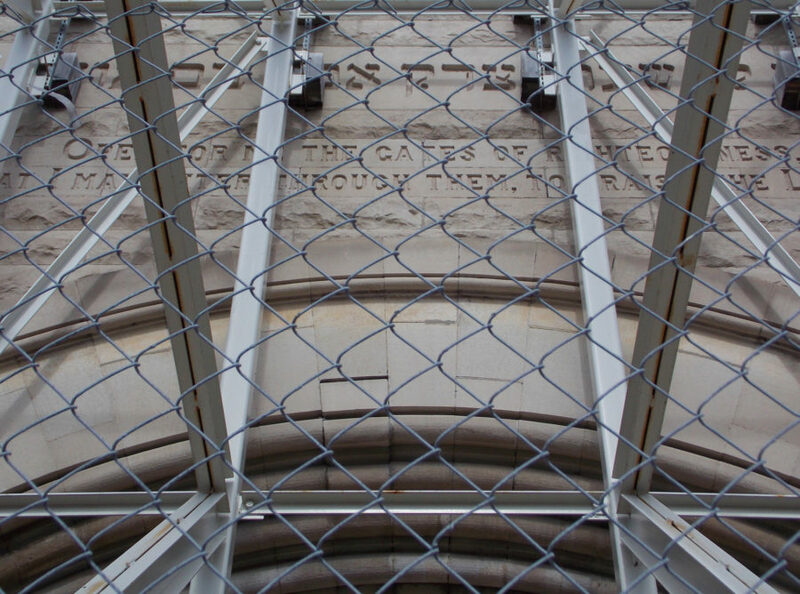 Parts of the remarkable limestone entryway on Congress Parkway were saved, at least. After the Jones Building, the other 3 buildings on the south side of the block facing Harrison Street were left to be leveled to the ground. 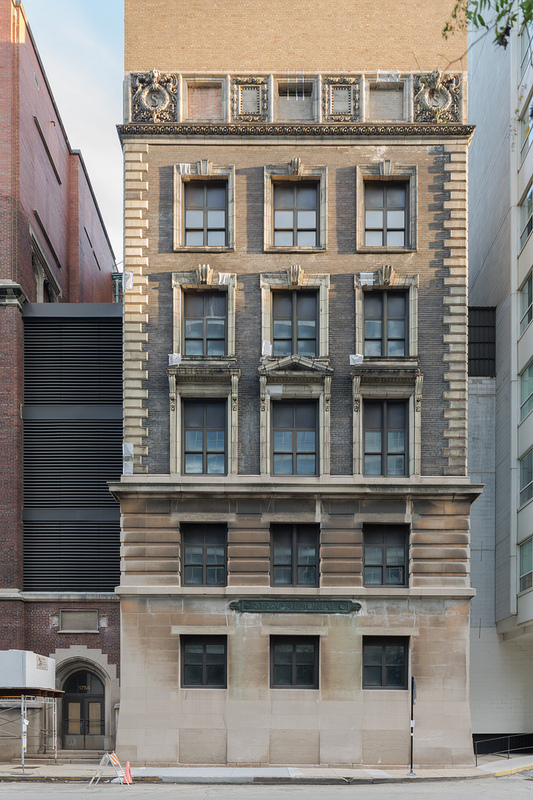 Built 1903 and 1924, these were the Rawson, Murdoch, and Senn Memorial buildings. 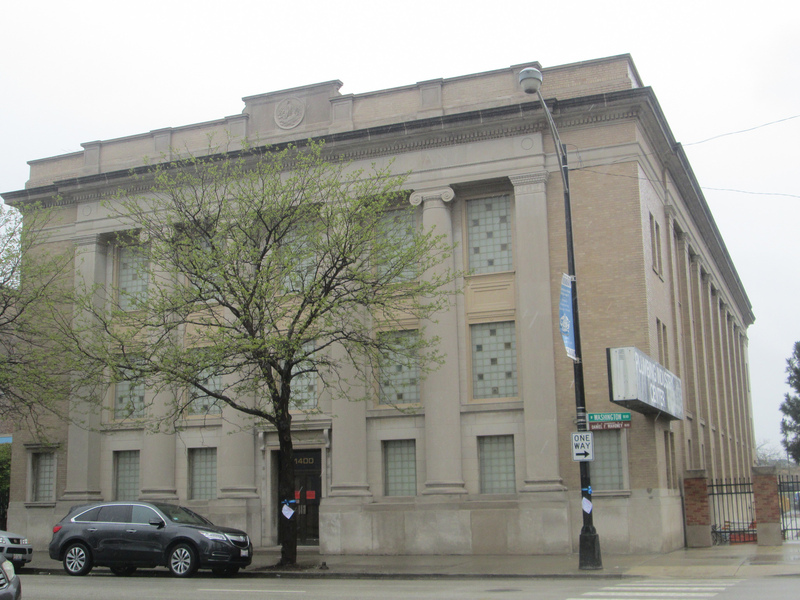 One of the many union halls in the area near Ashland and Ogden Avenues known as “Teamster City” was demolished in the spring of 2016, but it was originally built as the headquarters for the Public Life Insurance Company in 1920 at 1400 West Washington Boulevard. 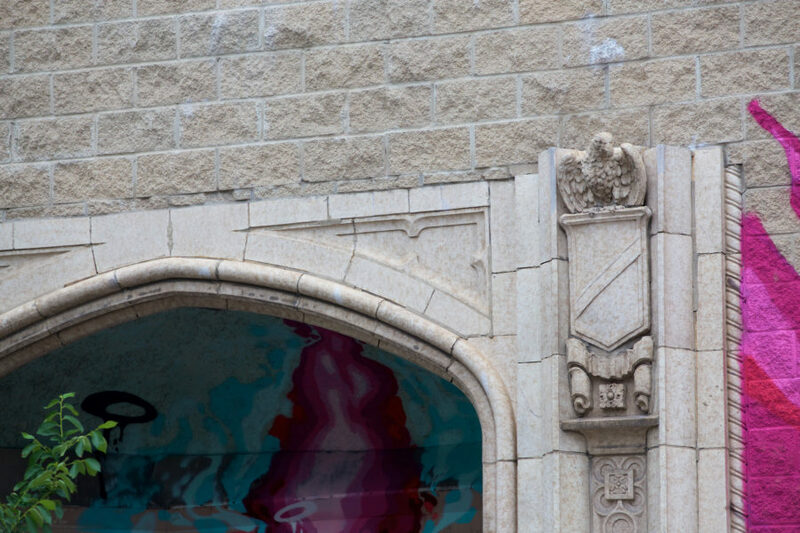 Eric Nordstrom of Urban Remains wrote a heavily researched, thoughtful article on the history of the building and photographed its current condition, and its imposing yet impressive limestone facade. 2016 also saw the final chapter of the protracted saga of Logan Square’s Mega Mall complex. The structure above was once an auto showroom. The eagle is a common ornamental feature in classical architecture, though Logan Square seems to have a higher than usual concentration of them. Many were likely inspired by the Centennial Monument, and are frequently found hidden in the residential and commercial architecture around it. 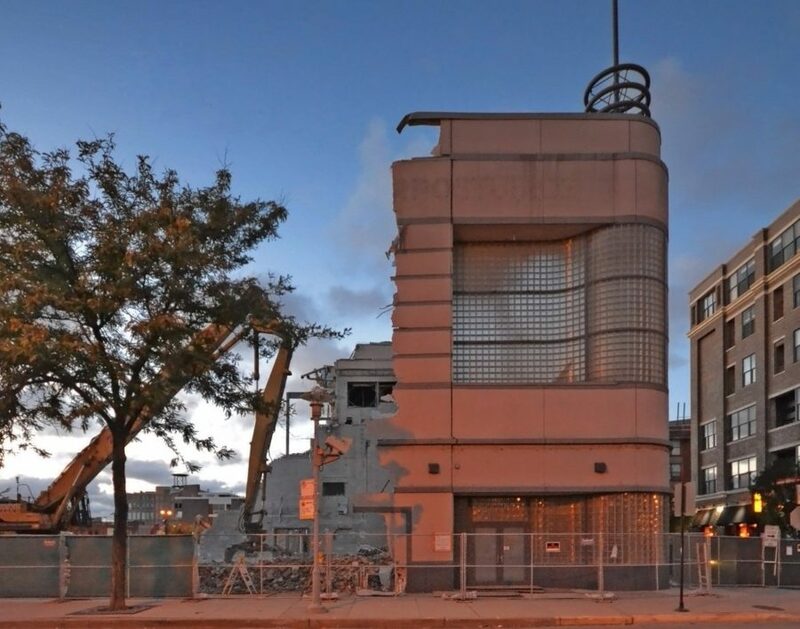 Five buildings on the Restaurant Row are being demolished to make way for a 31-story, 220-unit condominium, just west of the Kennedy Expressway. 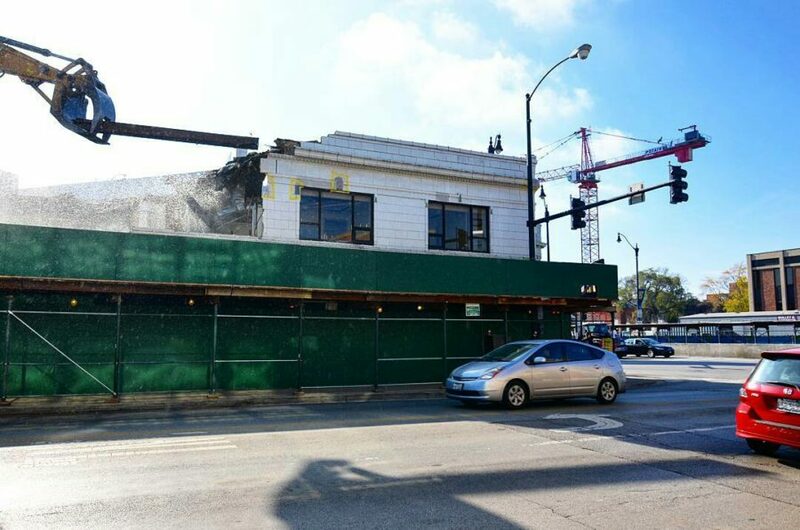 The former Osborne & Adams Leather Company Building at 209 W. Lake Street came down earlier this year to make way for a 33-floor residential building. Looking at its façade, you sense a strong vertical, Italianate design, with window hoods that are varied in shape and form: flattened arches, segmented arches, and rounded arches, each topped with a faceted trapezoid-shaped keystone and surrounded by pillars with a square-relief detail. The building was originally built for the Osborne & Adams Leather Company, who processed and manufactured consumer leather goods and horse brindles and saddles. City records indicate a build date of 1882, but like most of these records I have encountered and cross-referenced with field experience and other data sources, it does not seem accurate. 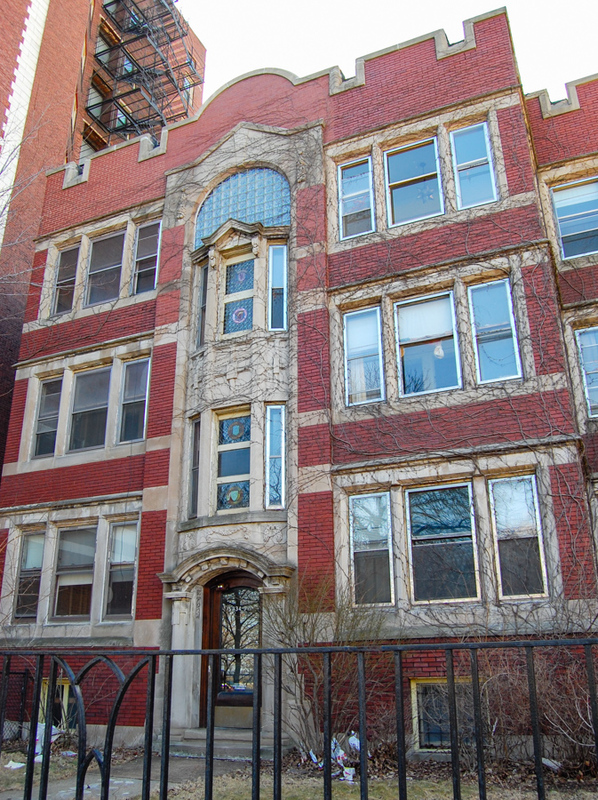 It has been suggested that this building was designed by John Mills Van Osdel, recognized as Chicago’s first architect. This would certainly give even greater significance to the Osborne & Adams Leather Company building, but at time of publication I was not able to find any historic documentation or evidence to support this claim—aside from very similar designs like his aforementioned McCarthy Building and other Post-Fire buildings to be explored later in this article. 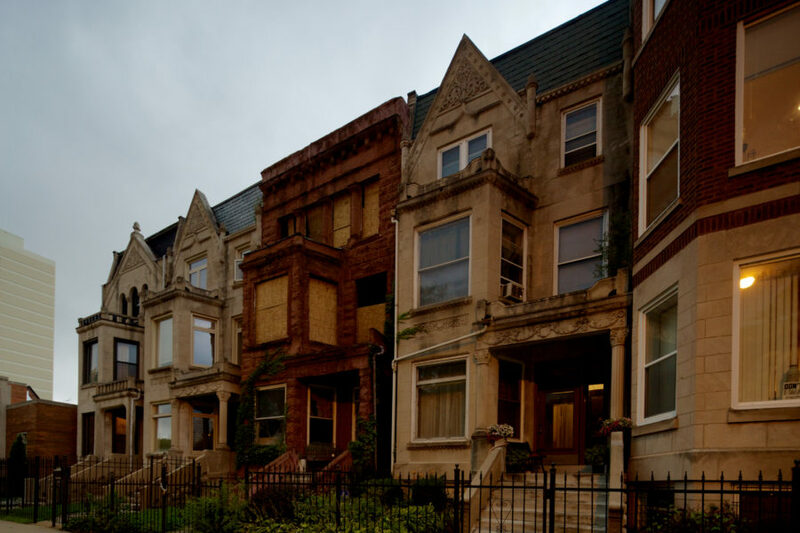 Despite the loss of so many Chicago treasures, a few great places were rescued from the brink of demolition, or were protected for generations to come. 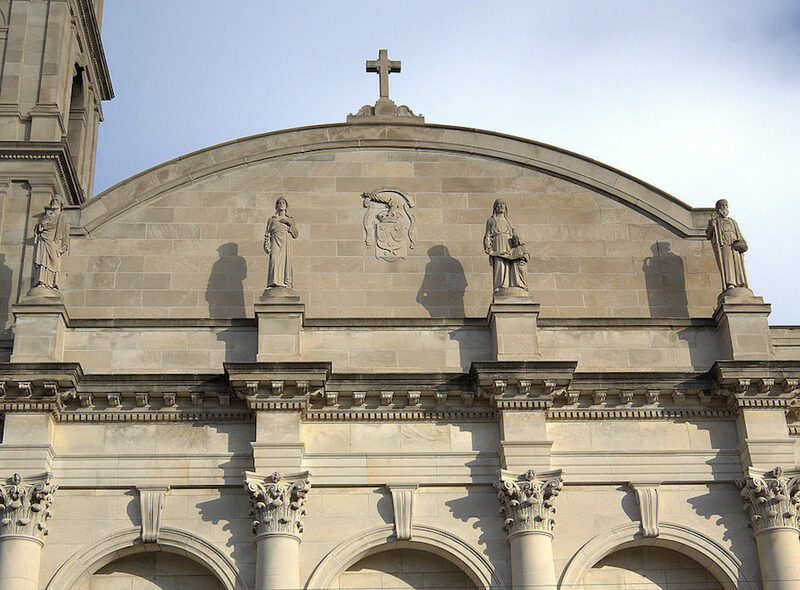 One of the largest preservation wins of 2016 was the Shrine of Christ the King, a historic church in Woodlawn, which for the second time in its history suffered from a massive fire. In the days and weeks after the 2015 fire, the community rallied once again. With the outer walls still standing, the Shrine’s leaders vowed to rebuild. 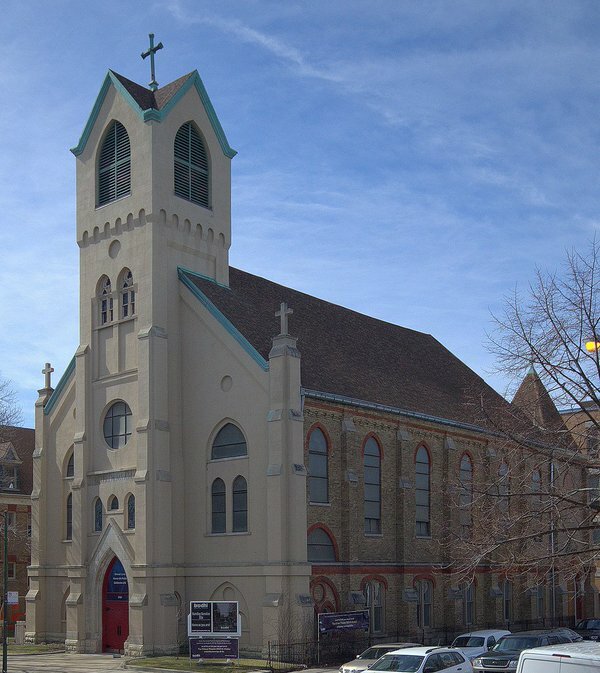 Firefighters were able to recover the 18th century statue of the Infant King; several hundred visitors stopped by during Open House Chicago; and the Shrine community found welcoming temporary quarters at First Presbyterian Church. 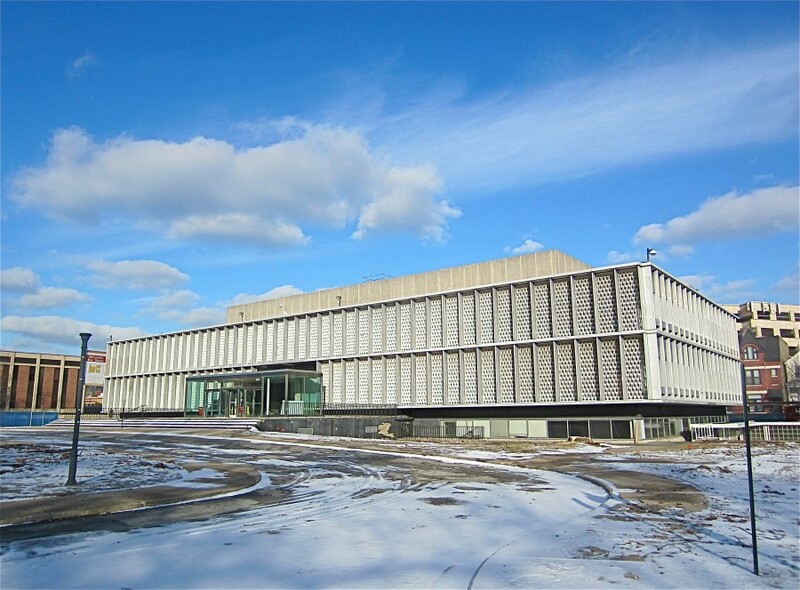 After repairs were estimated at over $3 million, the building faced demolition. 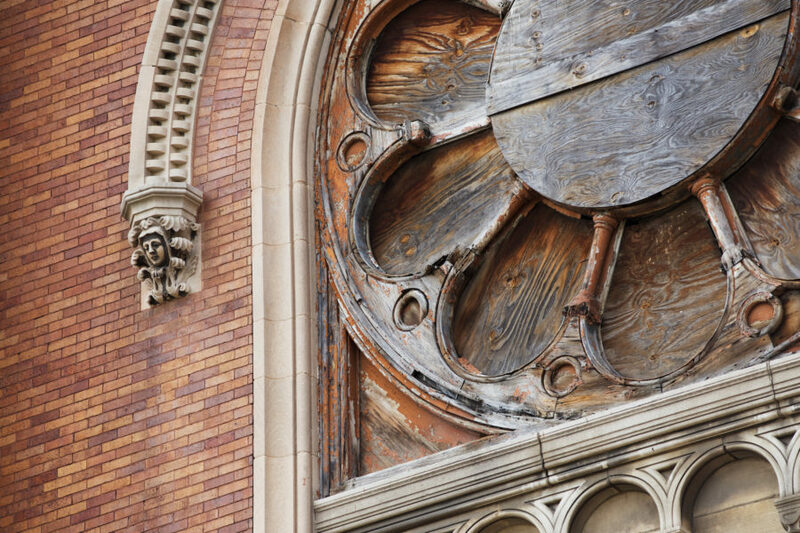 Ward Miller, executive director of the group Preservation Chicago, which has raised about $650,000 for the restoration effort, said the church is an important cornerstone in the community. 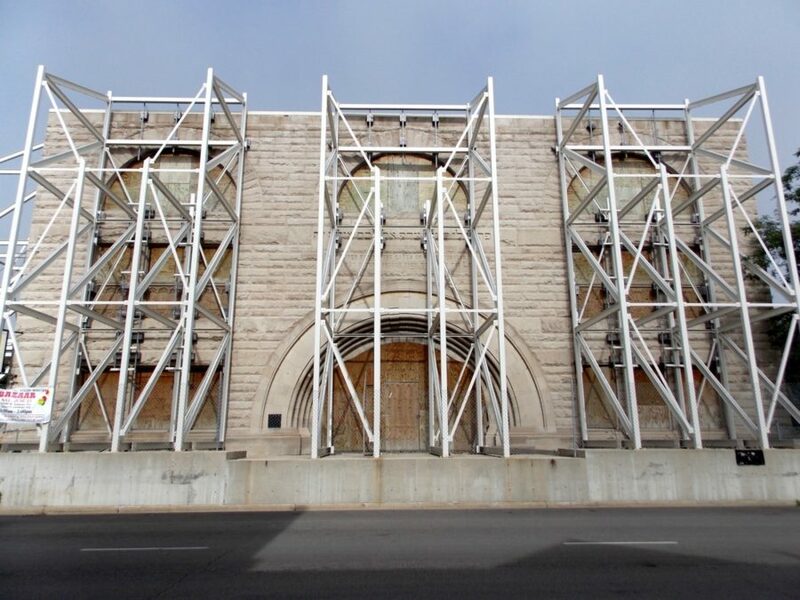 Preservationists have wanted to save the structure because of its aesthetic qualities, its religious significance and its place within the Woodlawn neighborhood, he said. 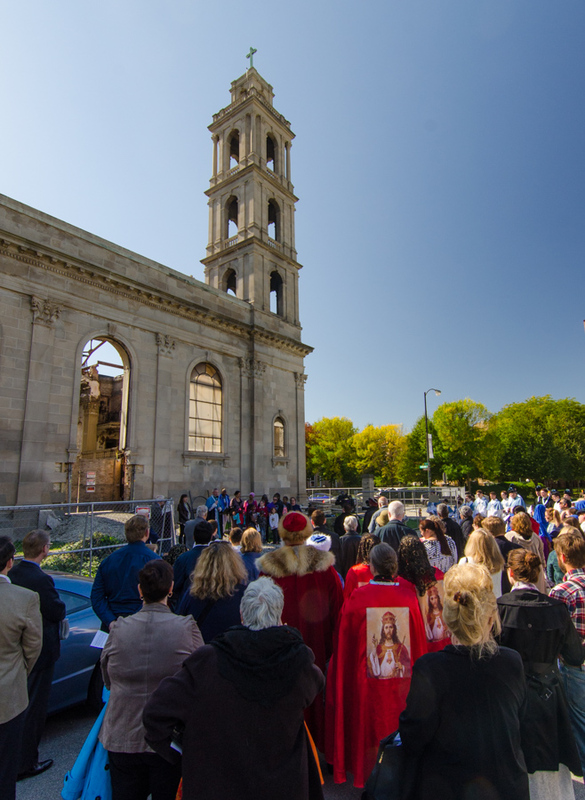 The Woodlawn community gathered in October 2016 to mark the one-year anniversary of the fire and celebrate the ongoing success of the restoration effort. Those wishing to learn more or support the effort should visit the website of the Coalition to Save the Shrine. A church in Noble Square that’s been vacant for decades received a last minute reprieve after its end seemed certain when a developer eager to raze the building purchased its debt. 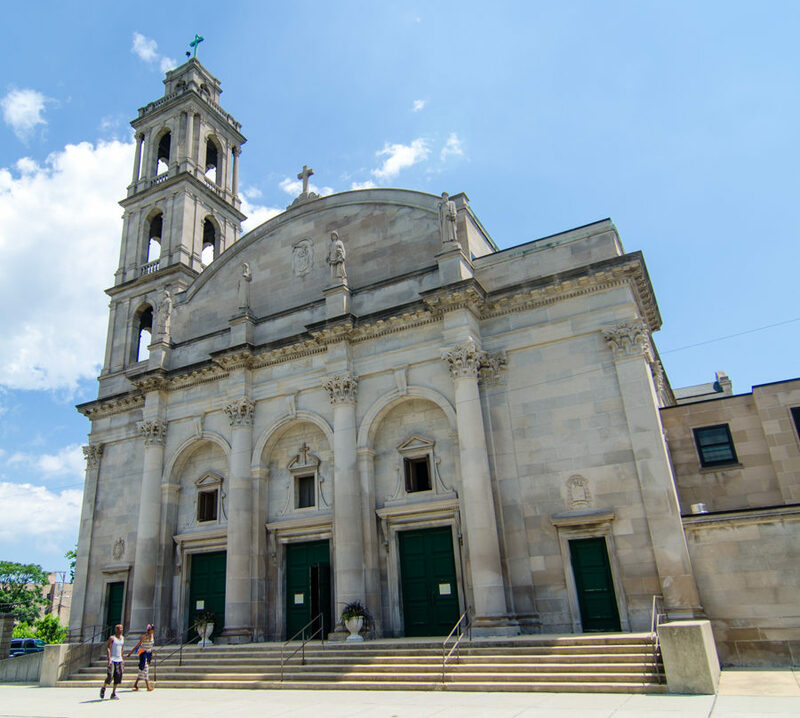 After many months of uncertainty, the future of the old St. Boniface Church in the East Village neighborhood is finally secure. 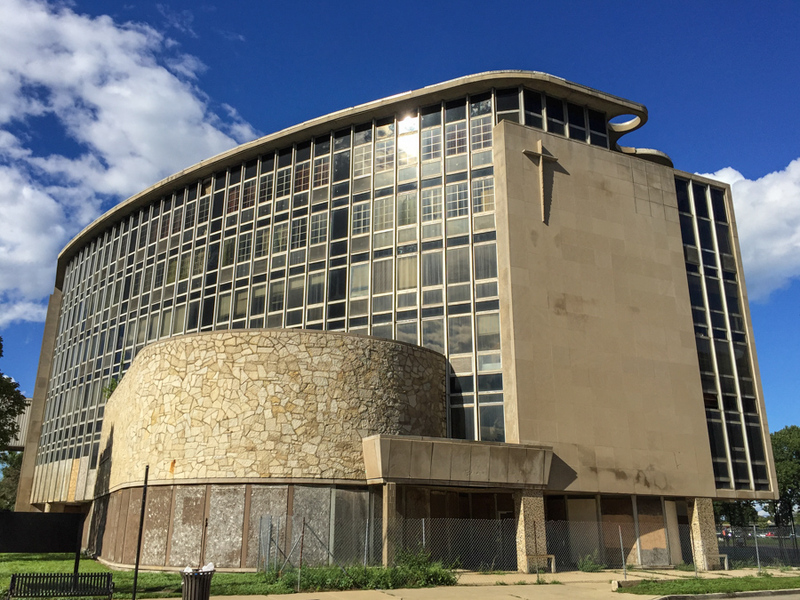 Community stakeholders went down to the wire today, but developer Mike Skoulsky of Stas Development did close on the Henry Schlacks-designed church this evening. The news was announced by Noble Square resident and community activist Bob Zwolinski on Facebook Friday evening. Plans for the building include adaptive reuse of the existing church structure, and a new condo building on a vacant section of the lot. 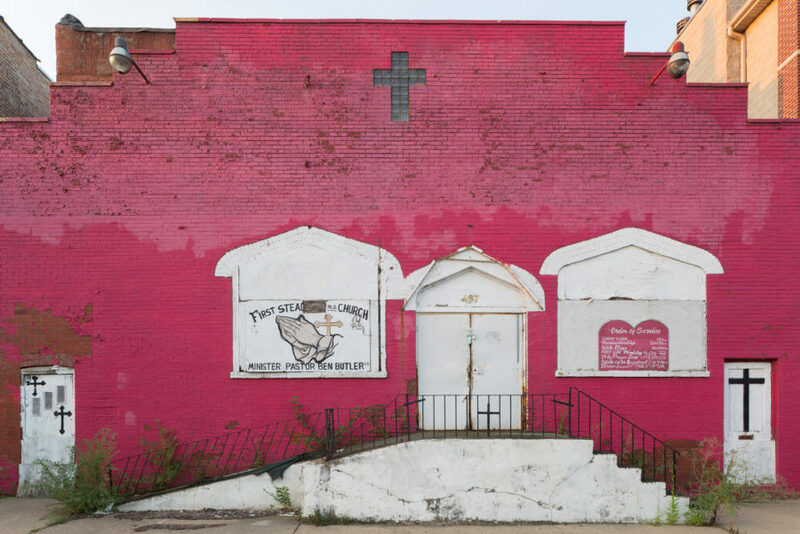 In the decade since a fire devastated the historic Pilgrim Baptist Church, originally an Adler & Sullivan-designed synagogue that went on to become one of the cradles of Gospel music, temporary braces have held up what remains of the outer walls. 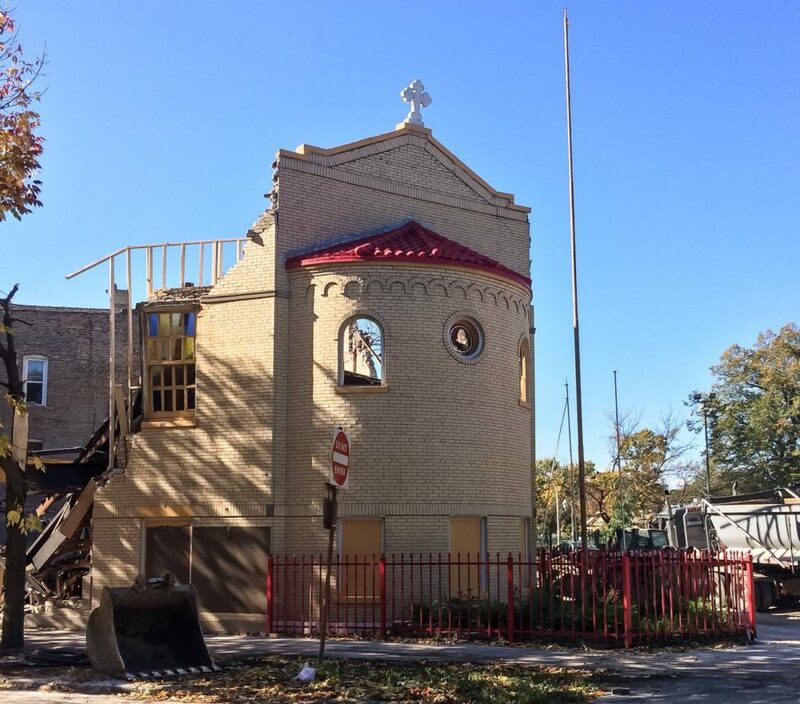 The congregation’s sometimes-controversial efforts to raise reconstruction funds having come up short, and with mounting complaints that the building’s shell presents hazards to the neighborhood, demolition once again emerged as a possibility – one which preservationists are continuing to fight. 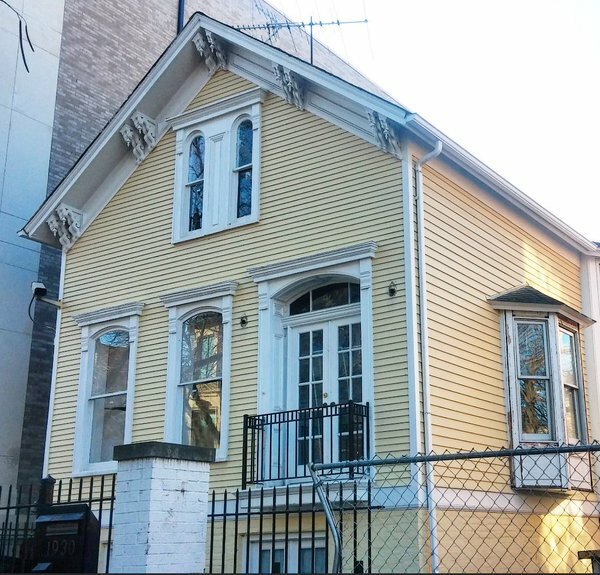 Towards the end of 2016, a historic preservation struggle emerged in Old Town, surrounding a clapboard-sided raised Worker’s Cottage at 1639 N. North Park Avenue. 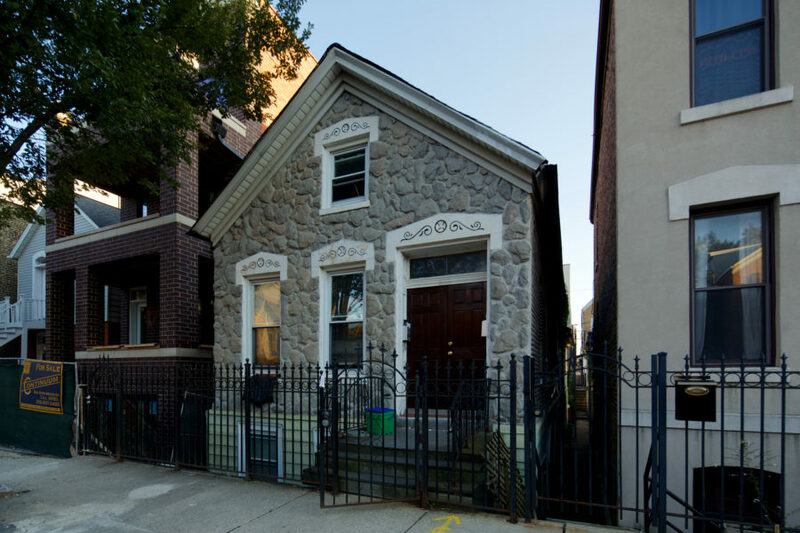 Built in the aftermath of the Great Chicago Fire of 1871, and raised above a new first-story brick addition at a later date, the wooden cottage features an elegant design and fine details like the Federal-style window and door moldings. Owners of the cottage are seeking a demolition permit, contending that the building is dilapidated and has become obsolete in its current surroundings. 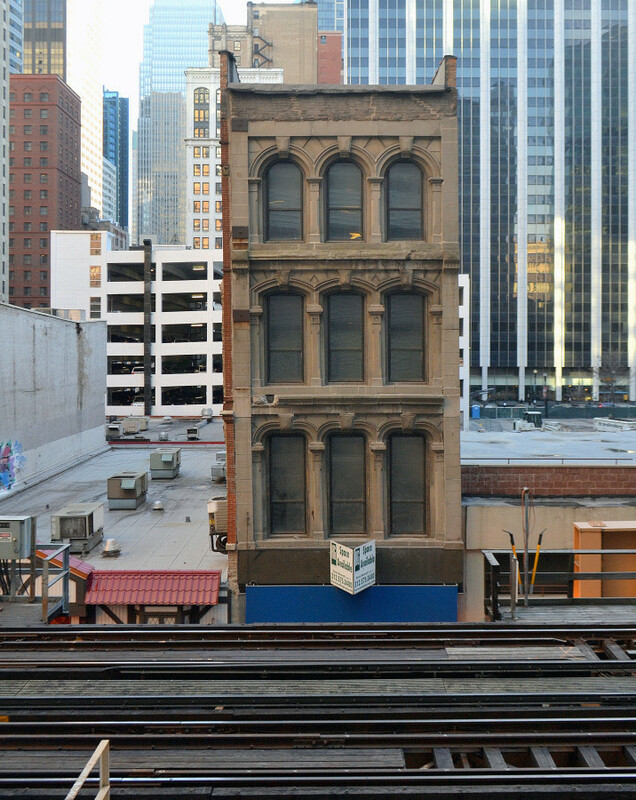 Preservationists and the City of Chicago, however, argue the building is an obvious “contributing structure” to the Old Town Triangle Landmark District area it is located and protected inside, and as such, should not be allowed to be demolished. A follow-up hearing is scheduled for today, January 5th, where a final determination on the demolition permit will be made. We’re optimistic for a positive outcome given the strong arguments put forth by the City in past hearings, and that this can start a meaningful trend of saving more of Chicago’s significant architecture in 2017. Photos and information for this article came from Chicago Patterns contributors John Morris, Gabriel X. Michael, Rachel Freundt, Eric Allix Rogers, and Andi Marie. Special thanks to Noah Vaughn, Katherine Hodges, Frederick Nachman, and Jeremi Bryant for additional photography contributions for this article. Regarding the former Harpo Studios – it was also the home of Fred Niles Studios, where, in 1967 during a lull in touring caused by riots in some of the cities on the itinerary, The Monkees filmed some segments for their show, including the ‘Daydream Believer’ segment in front of the studio’s striped ‘rainbow wall’. What a great, but sad article as well. 2016 indeed had a lot of great architectural losses. By any chance, do you know what the status of the rumored demolition of the apartment 2 flat building at 154 W. Superior is? In 2016 I heard rumors this would be demolished, and as very depressed as I was to bike by the house on State Street north of Division that got demolished(was hoping to get one last pic of that building, it wasn’t meant to be), it brightened my night so darn much to see 154 W. Superior still stood! I don’t know for how much longer it’ll stand, though. I will PM you sometime on facebook, would love to talk to you more about architecture, any places you’ve urbexed lately, etc. Love your blog so darn much, keep it up! And take care. My Instagram account is under the same screenname as I use for Flickr, btw.